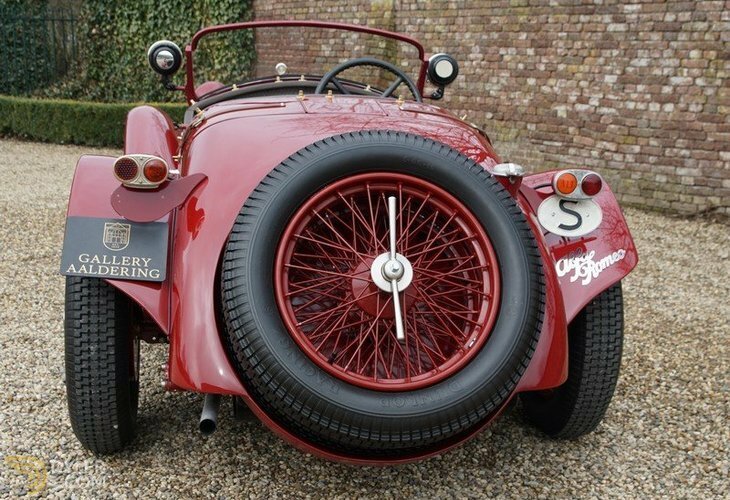 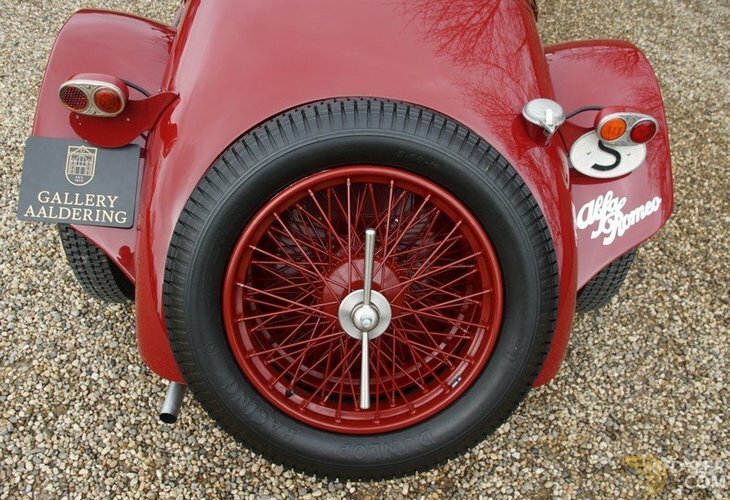 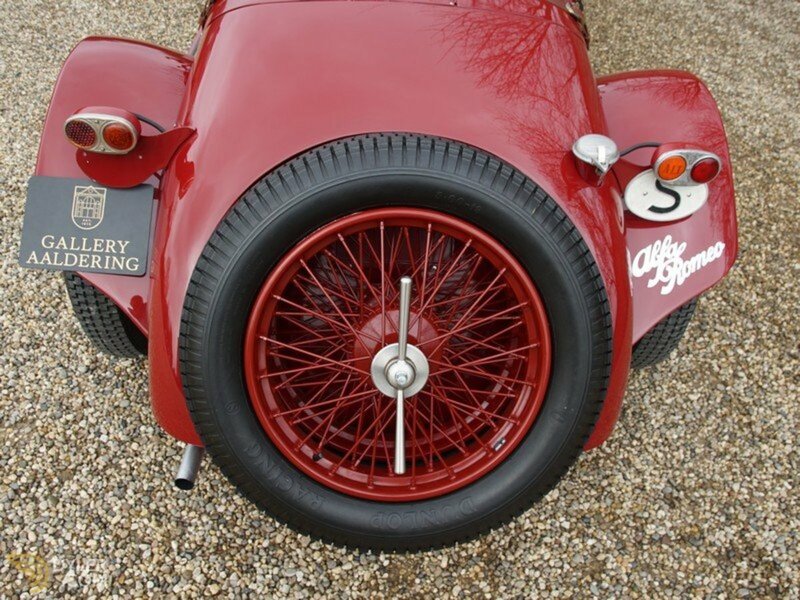 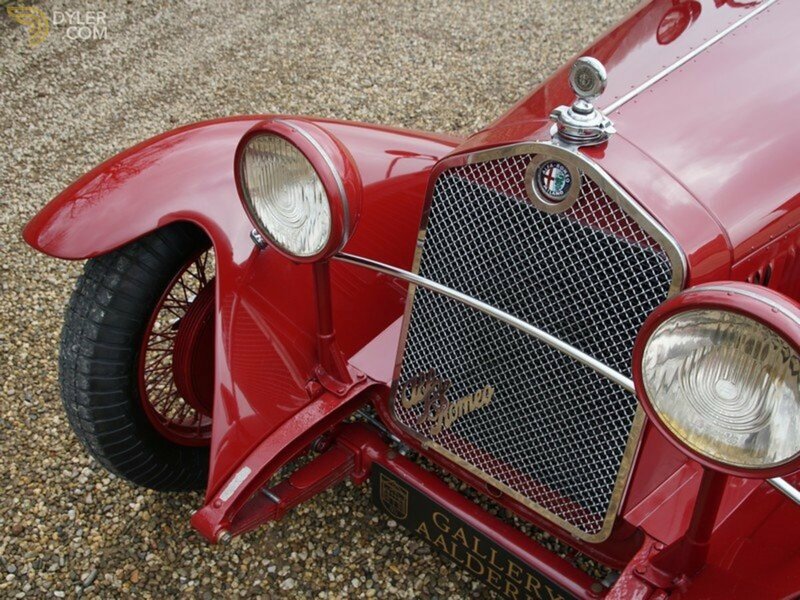 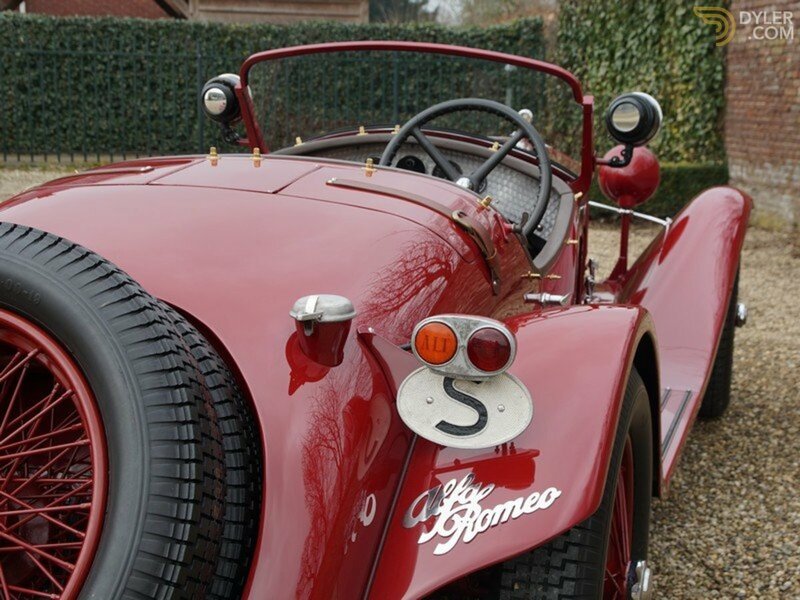 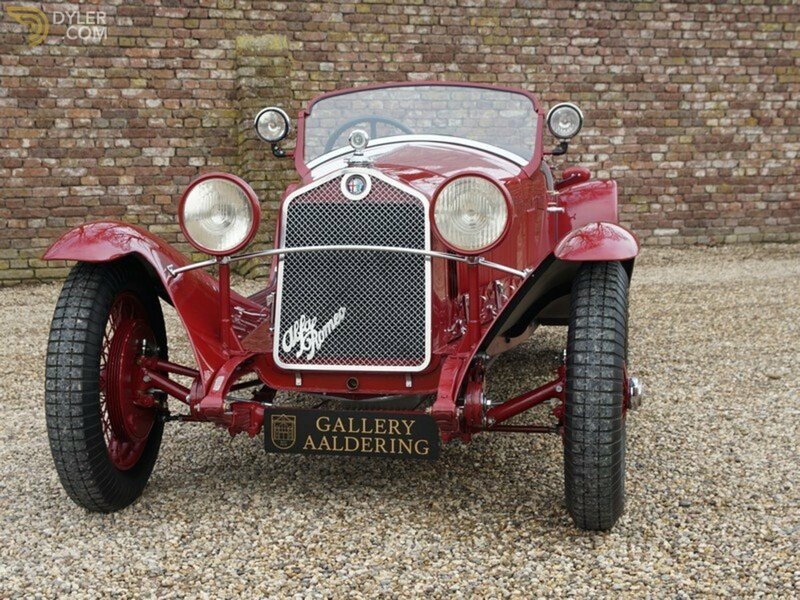 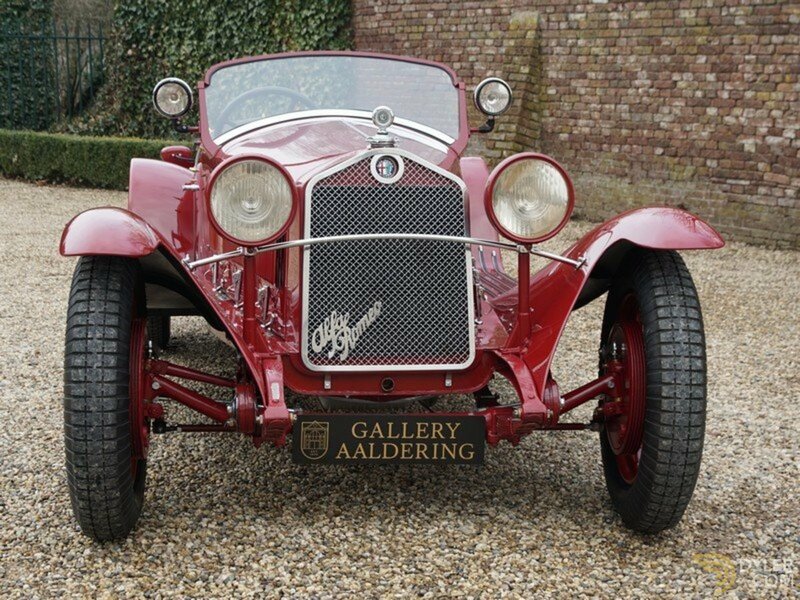 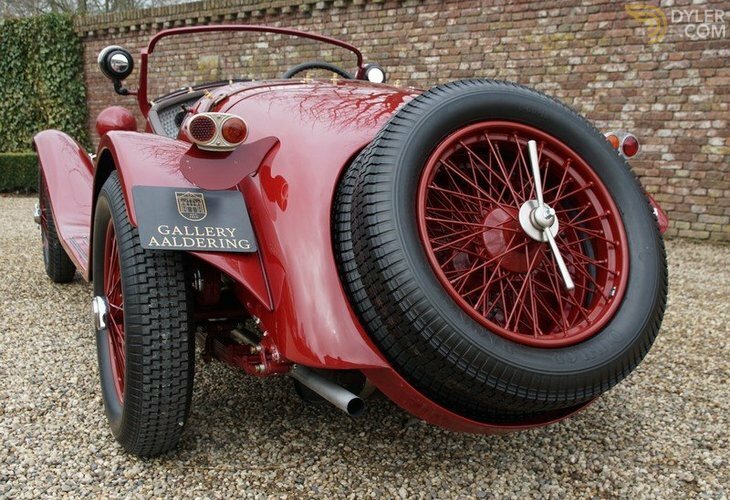 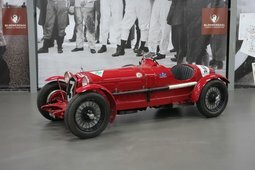 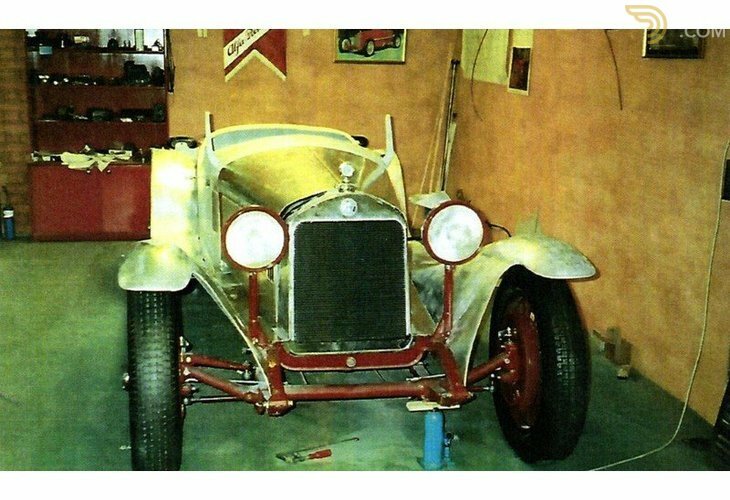 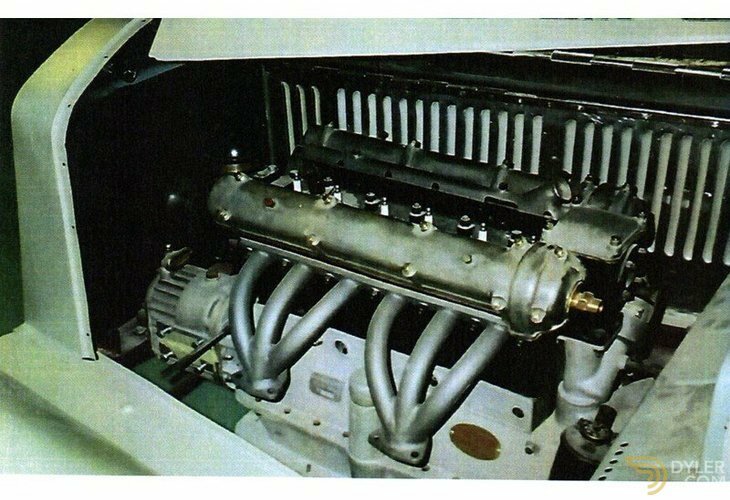 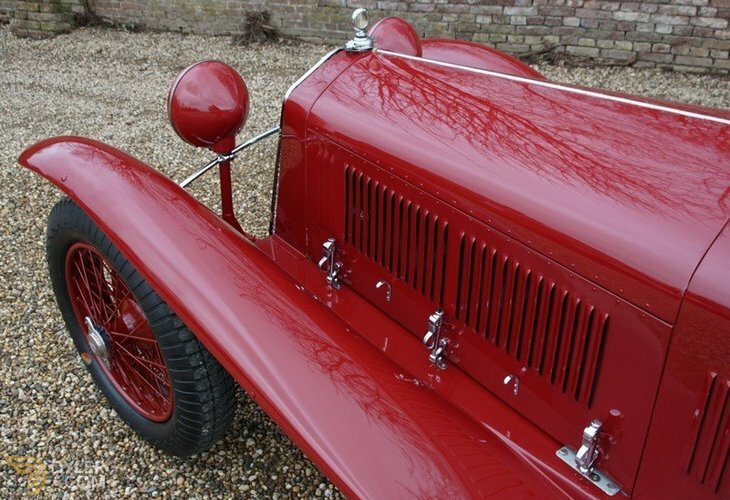 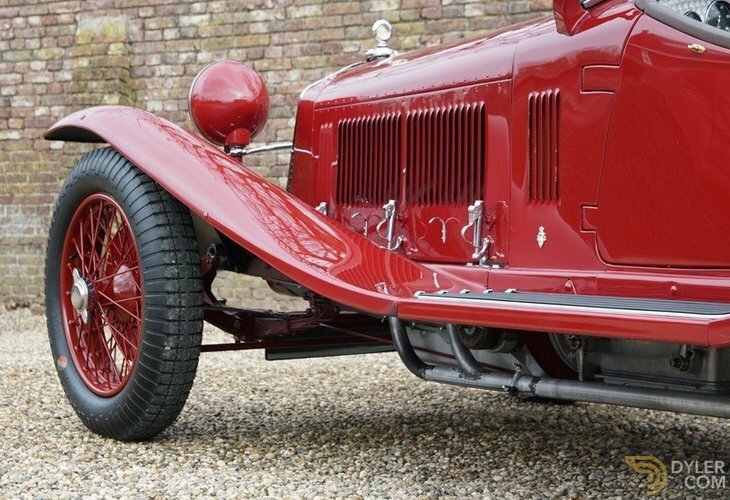 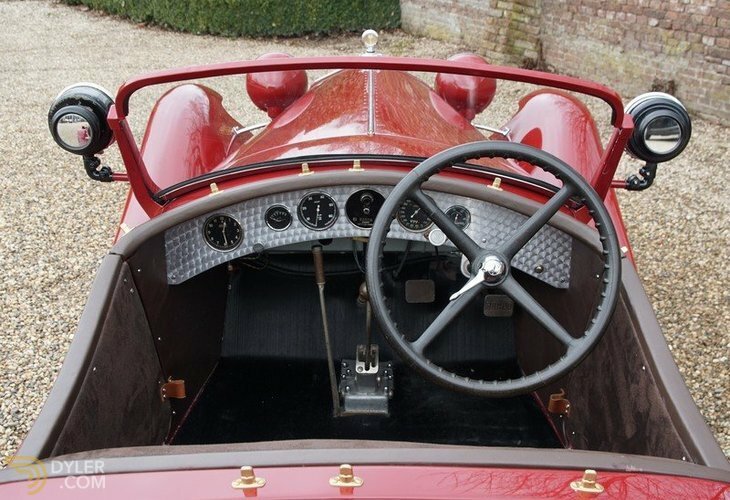 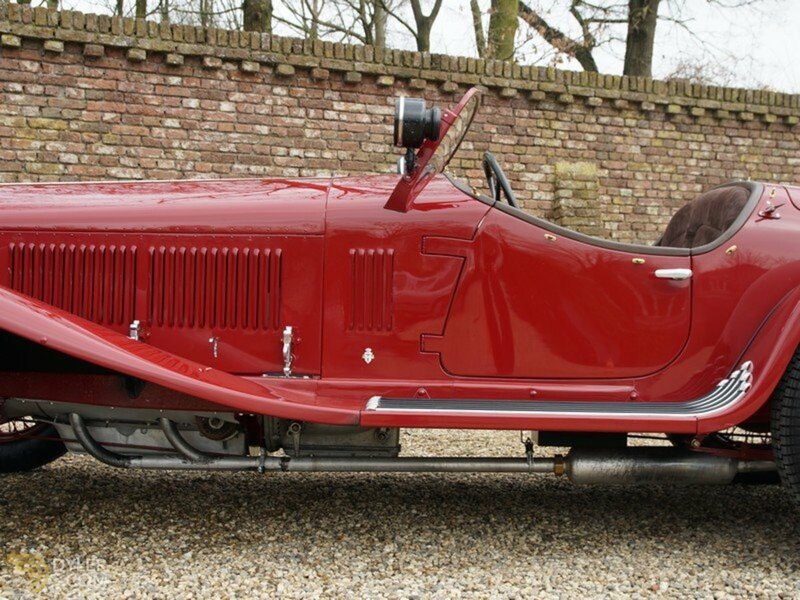 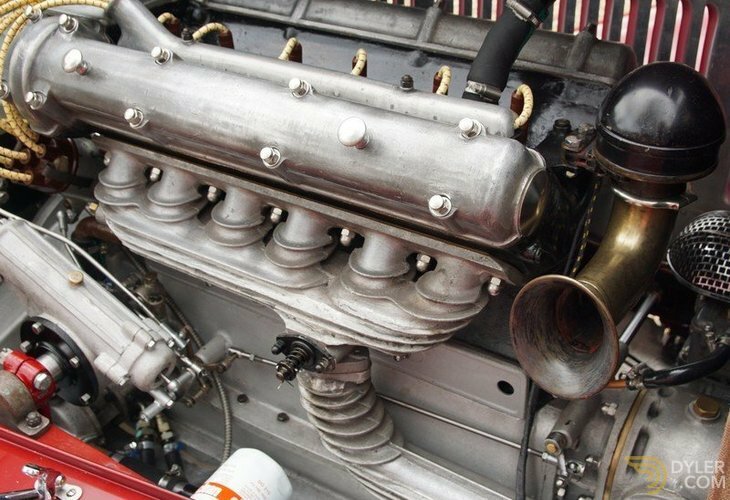 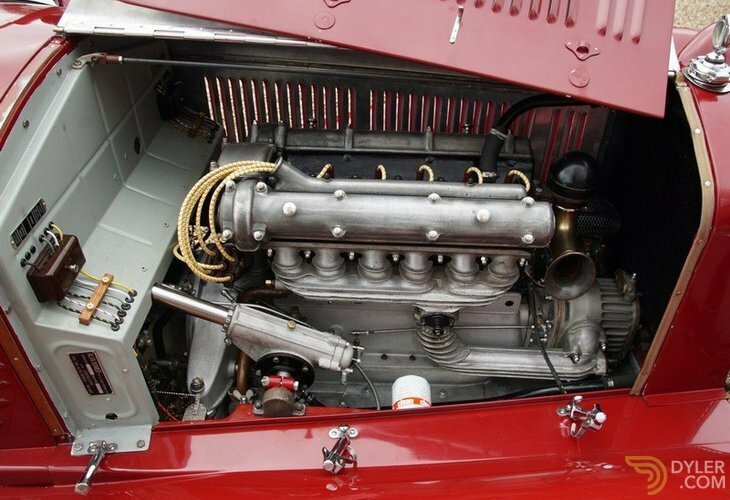 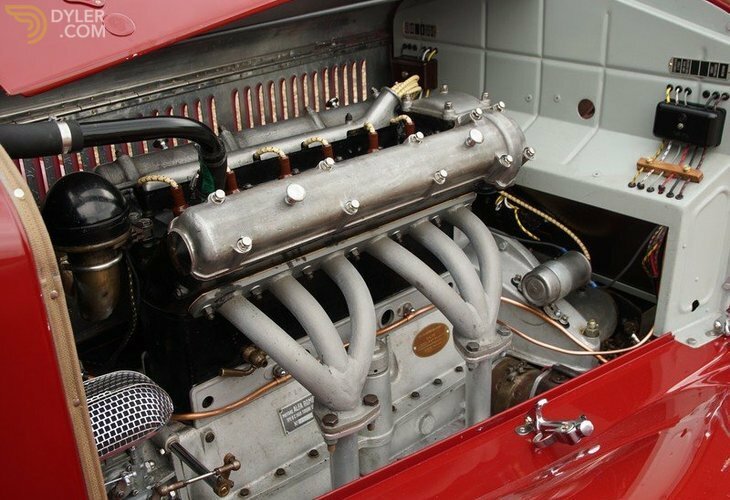 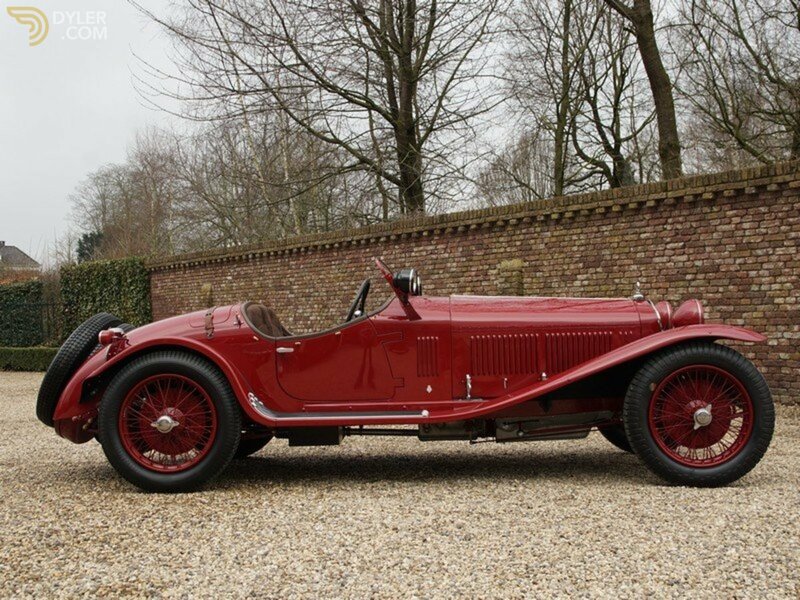 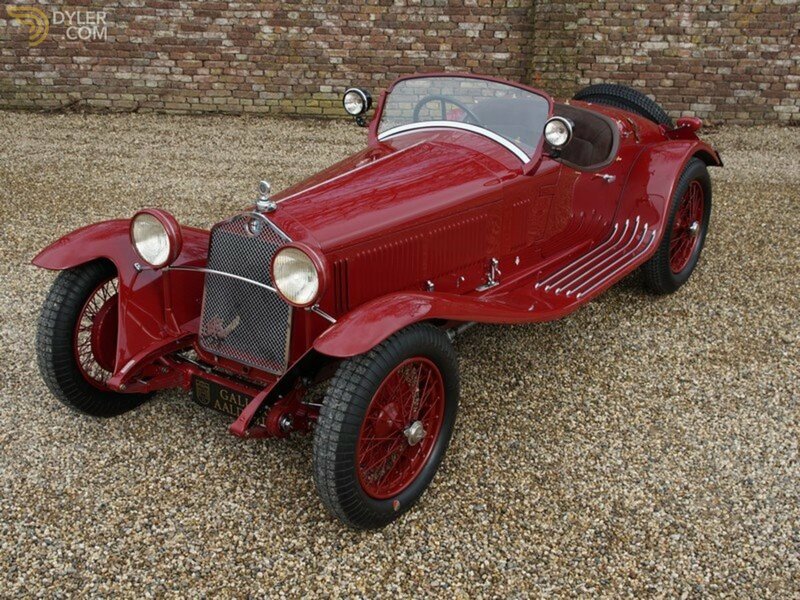 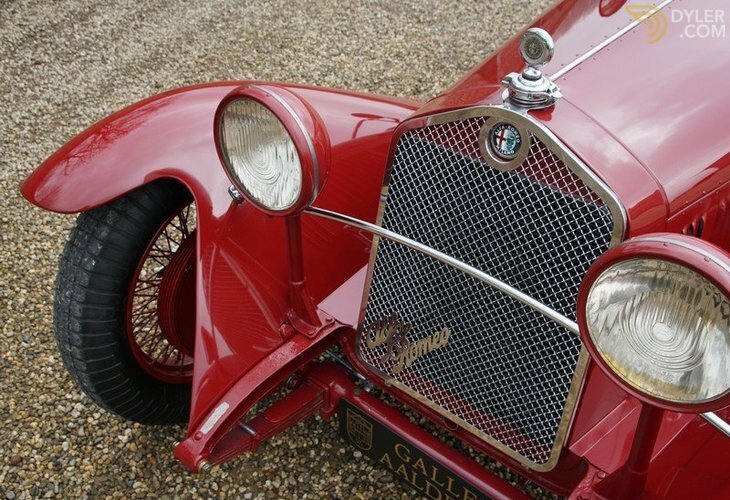 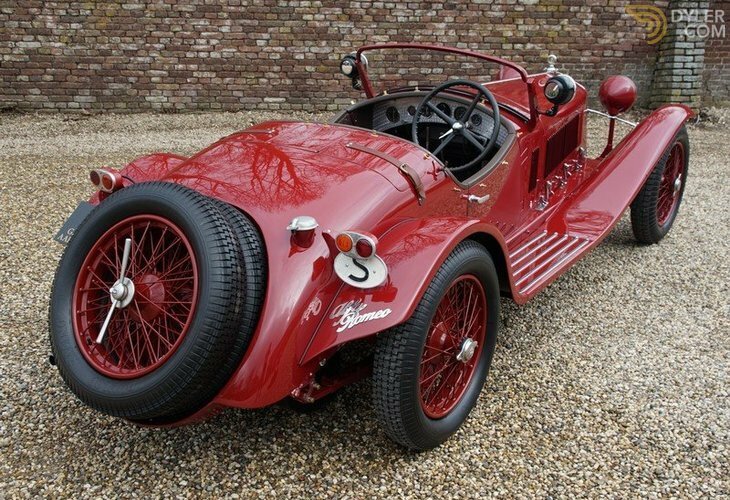 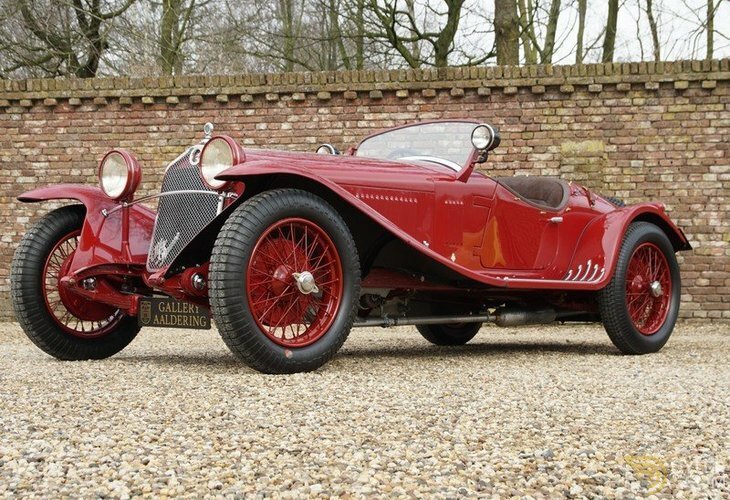 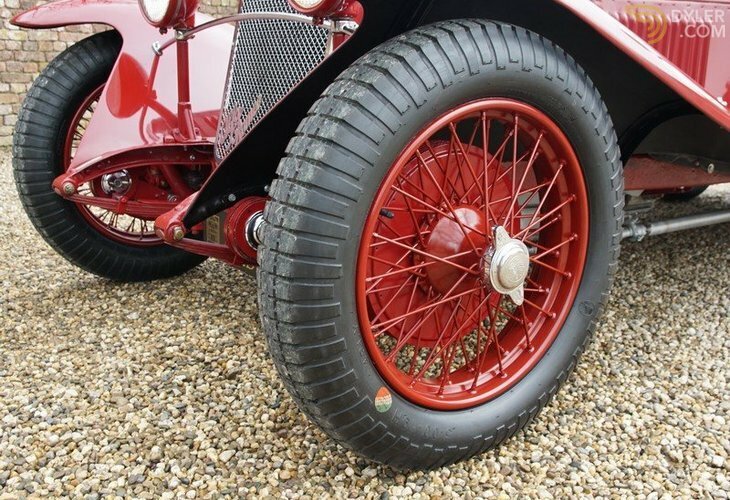 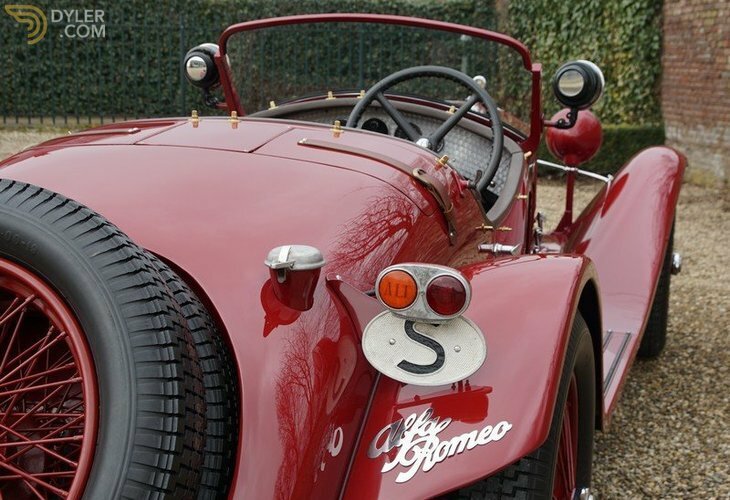 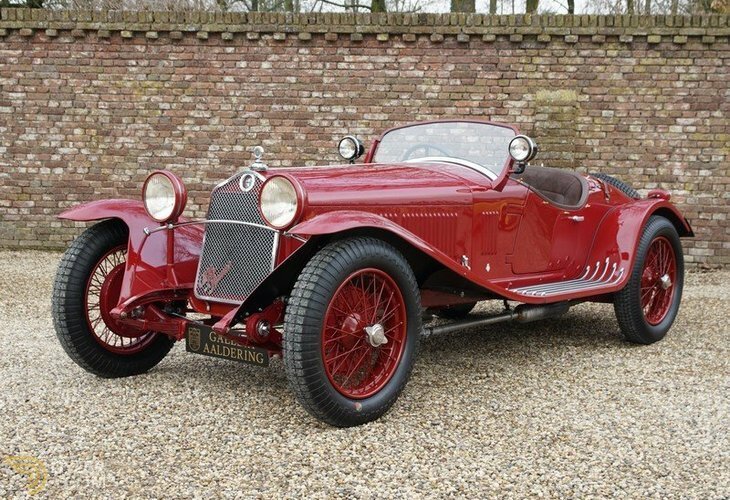 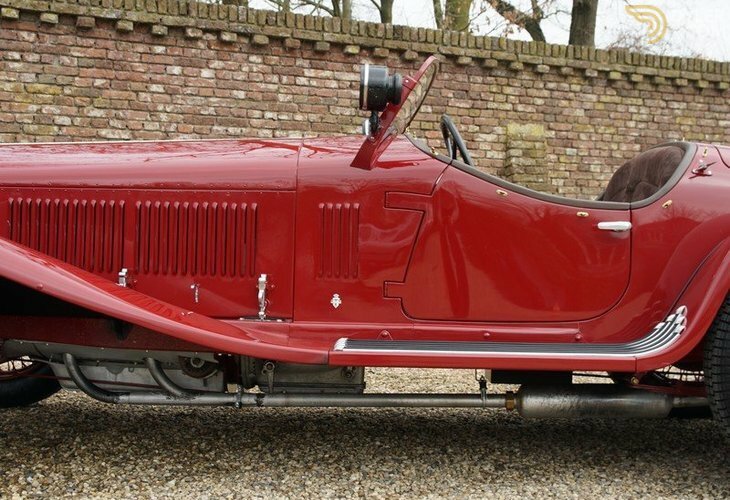 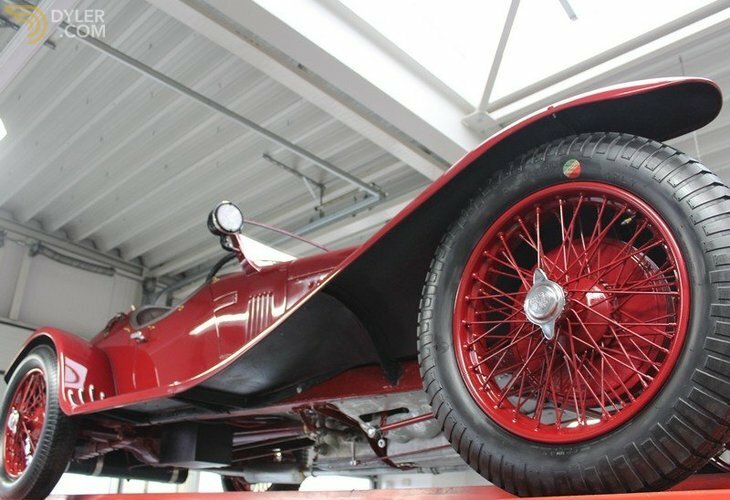 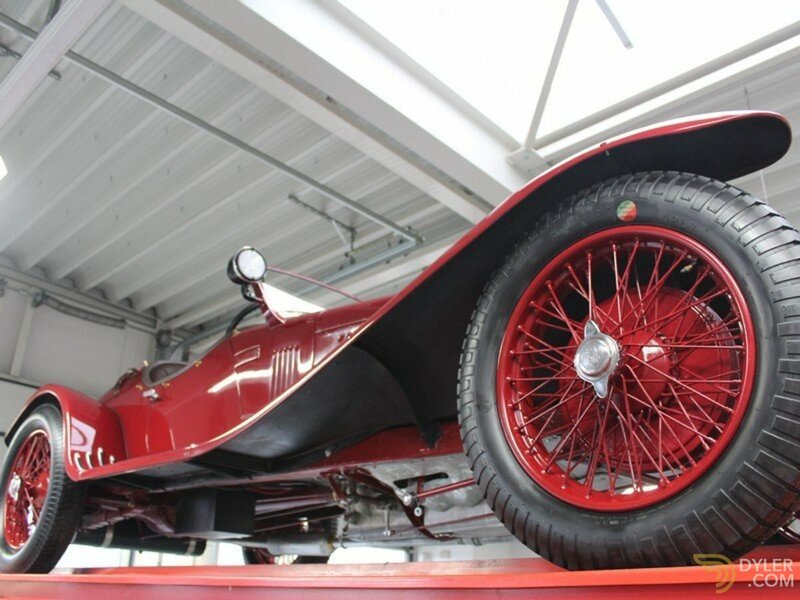 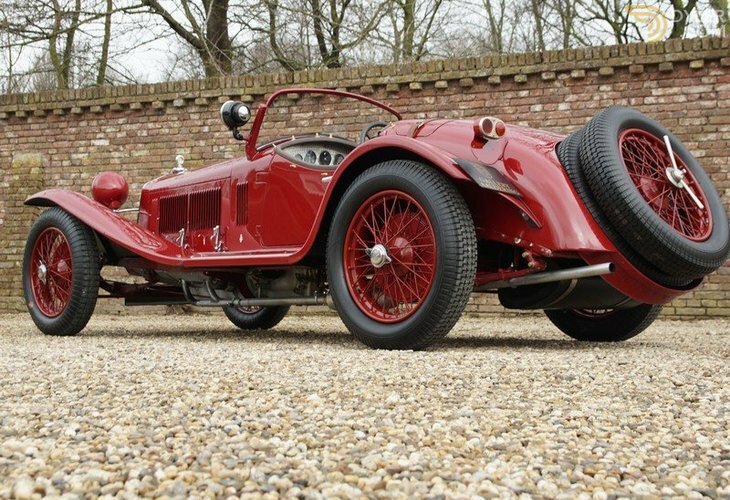 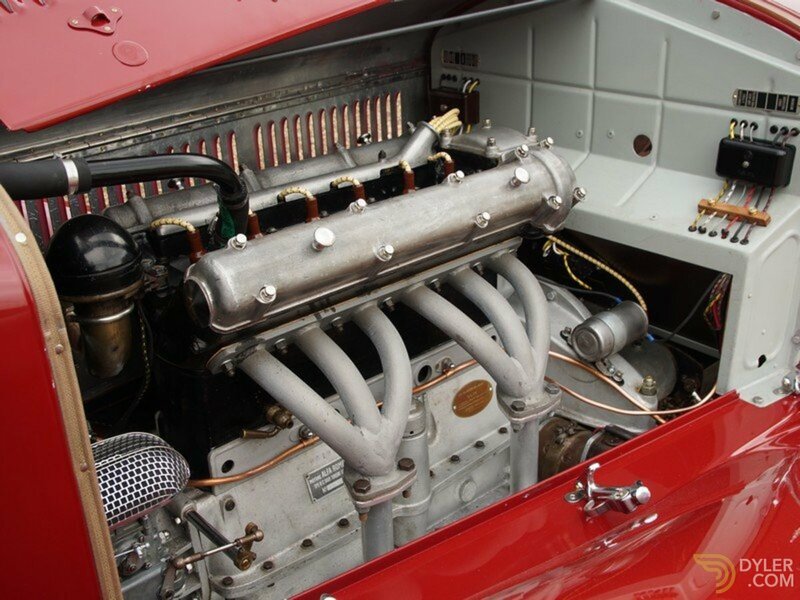 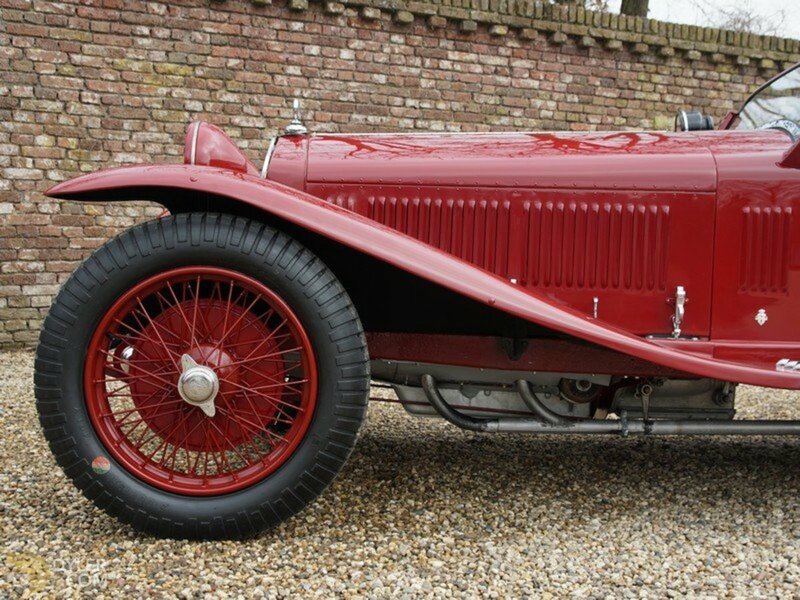 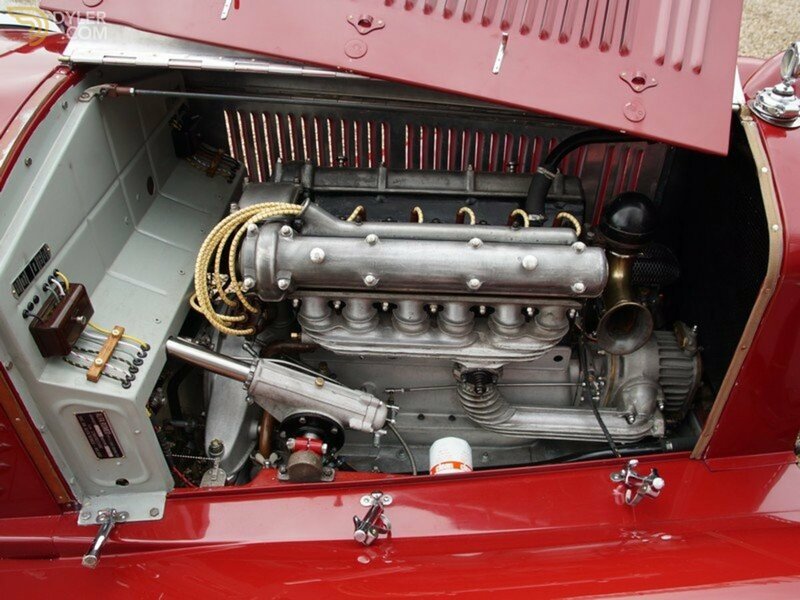 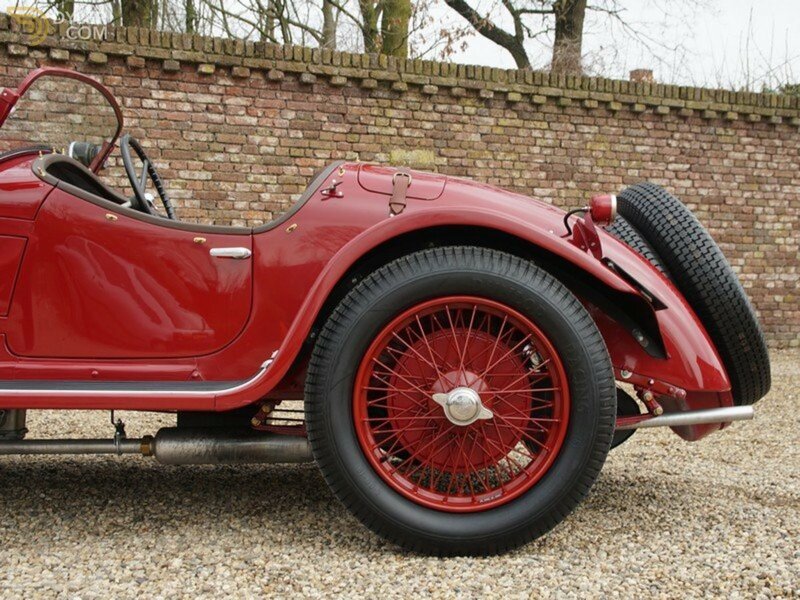 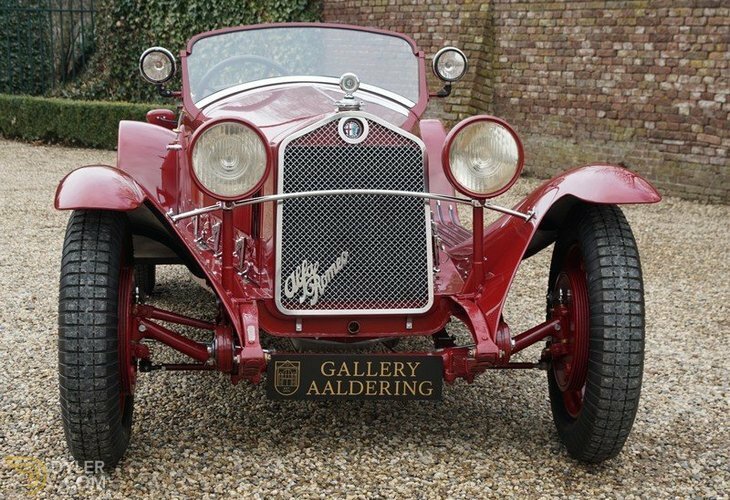 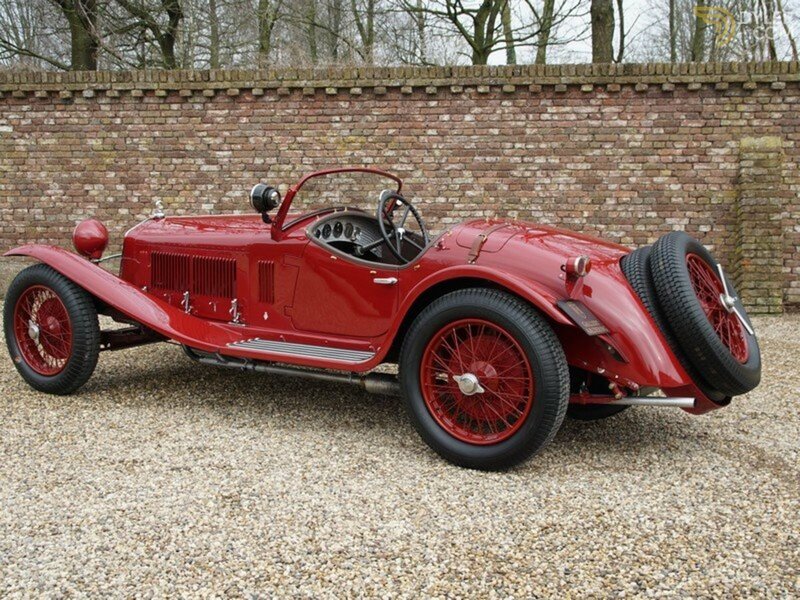 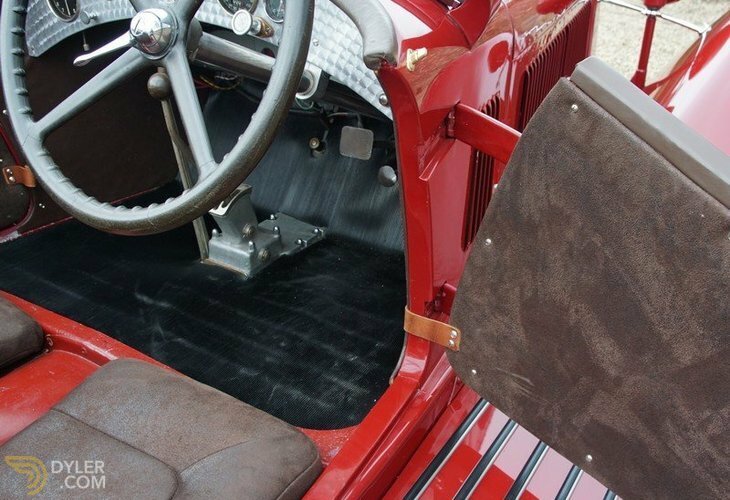 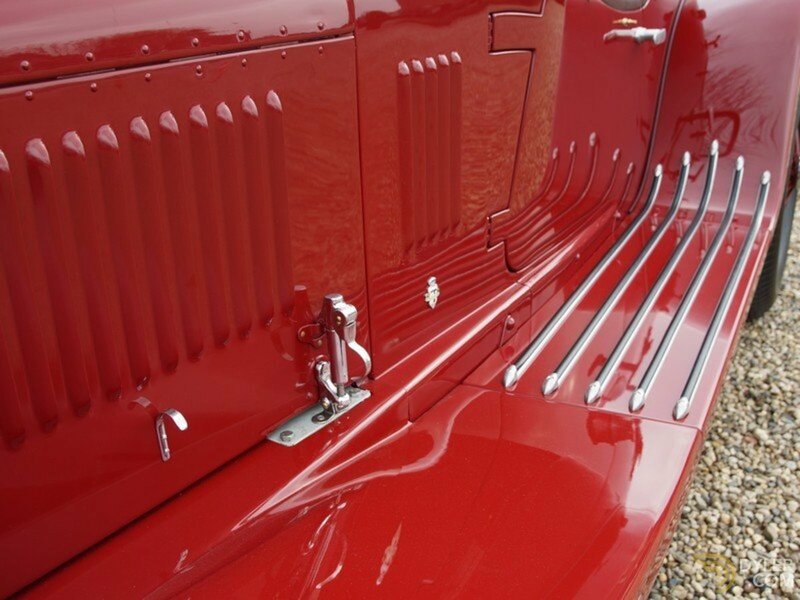 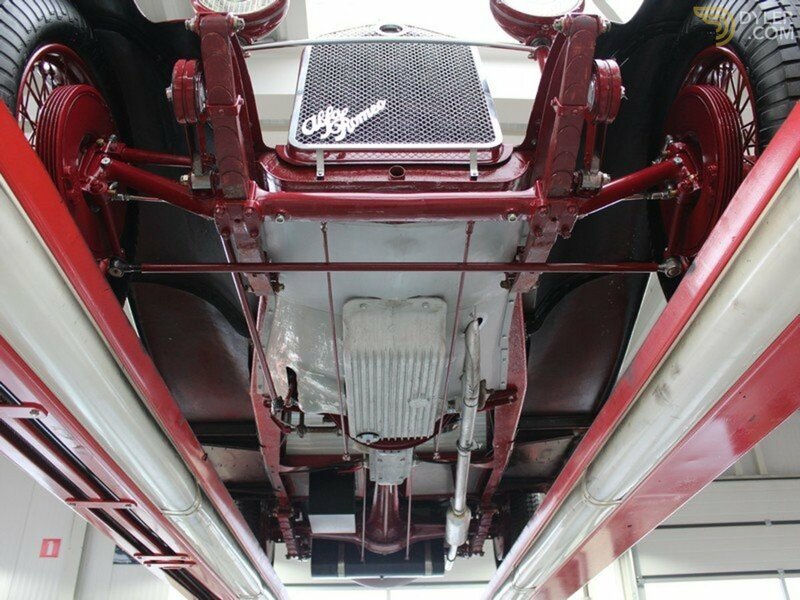 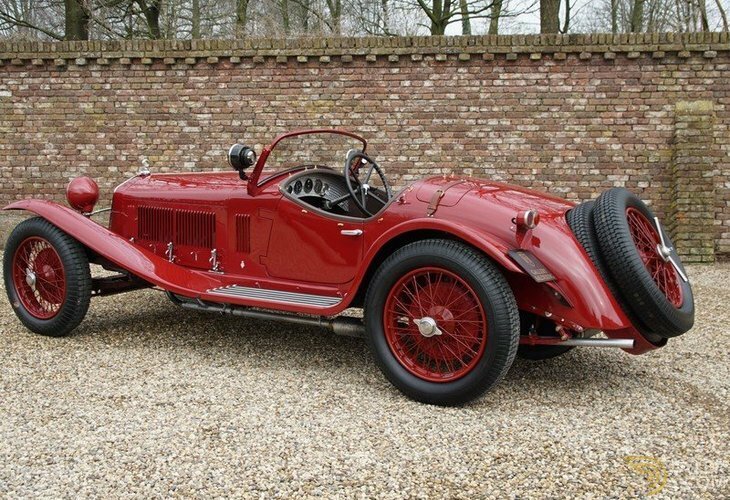 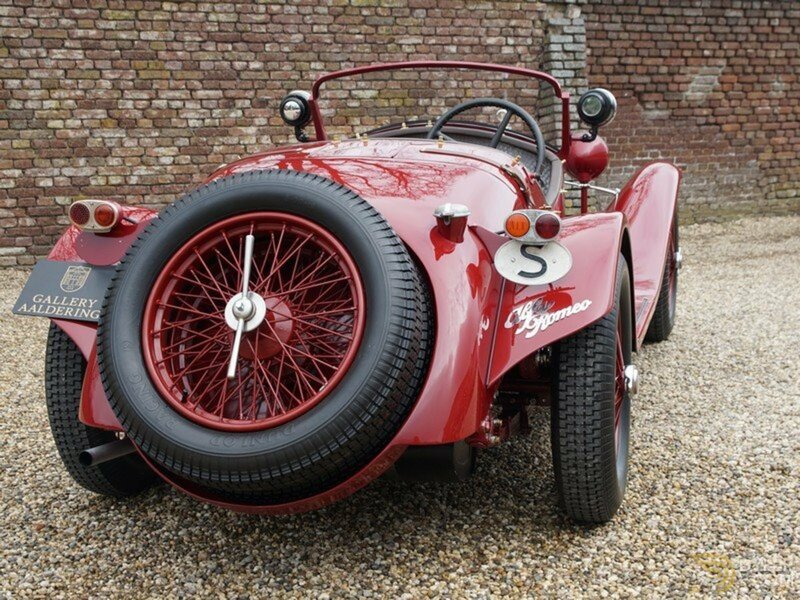 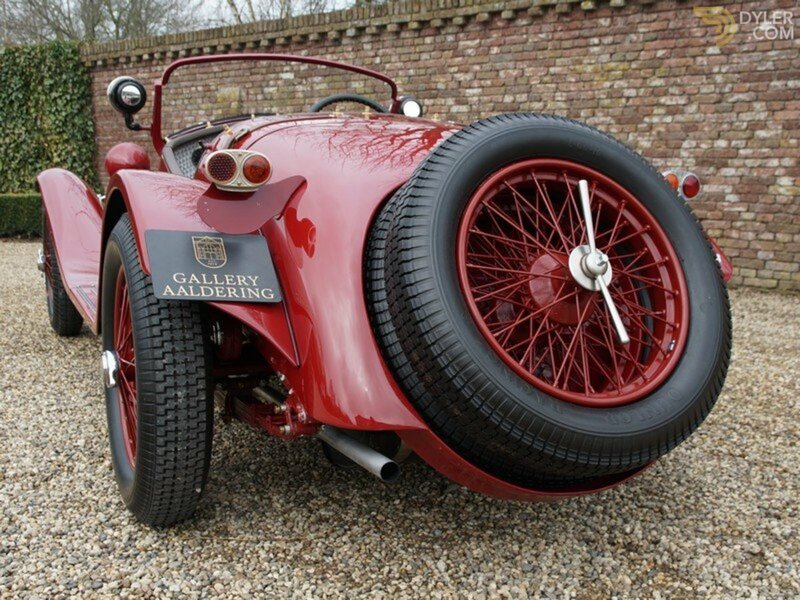 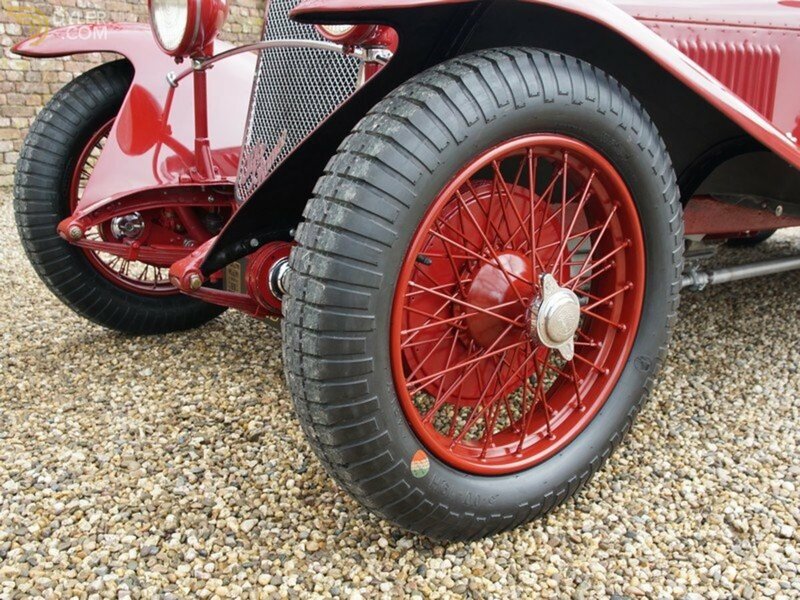 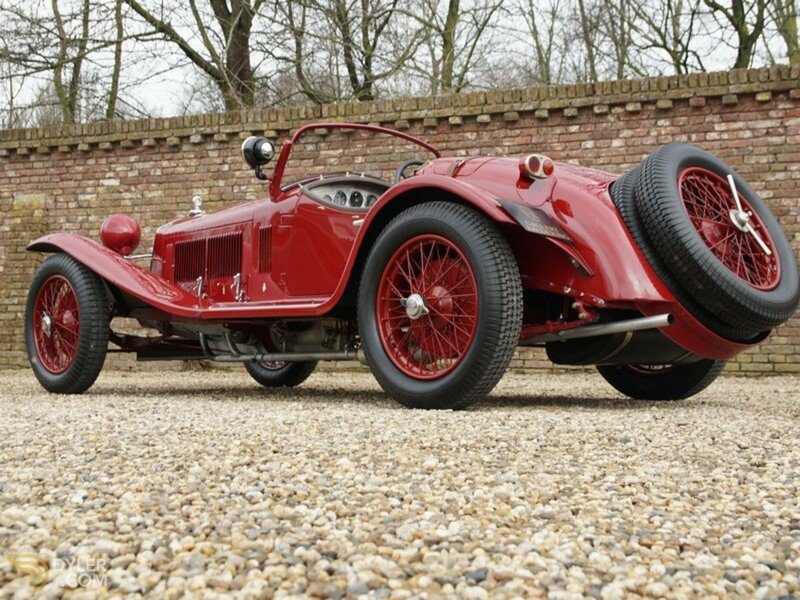 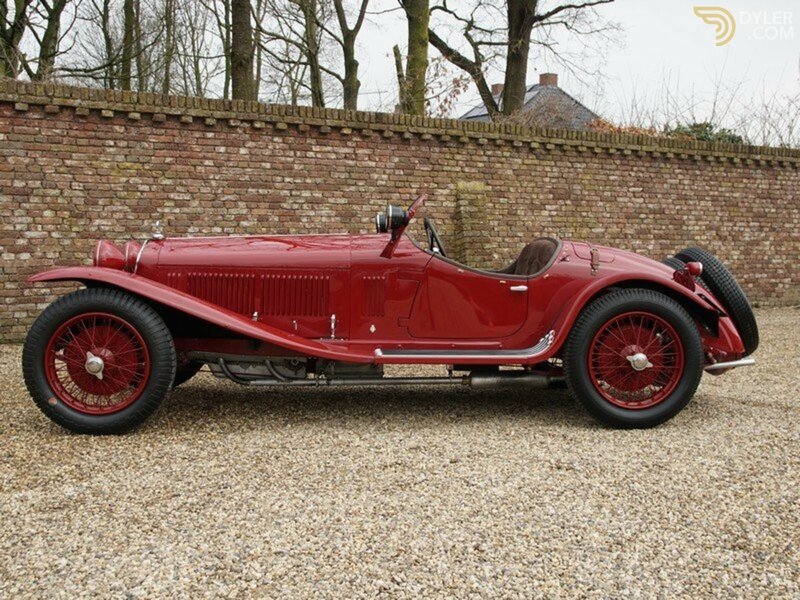 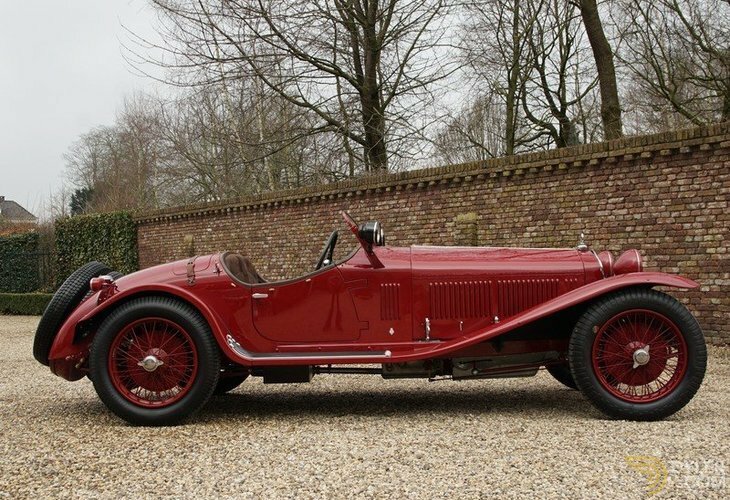 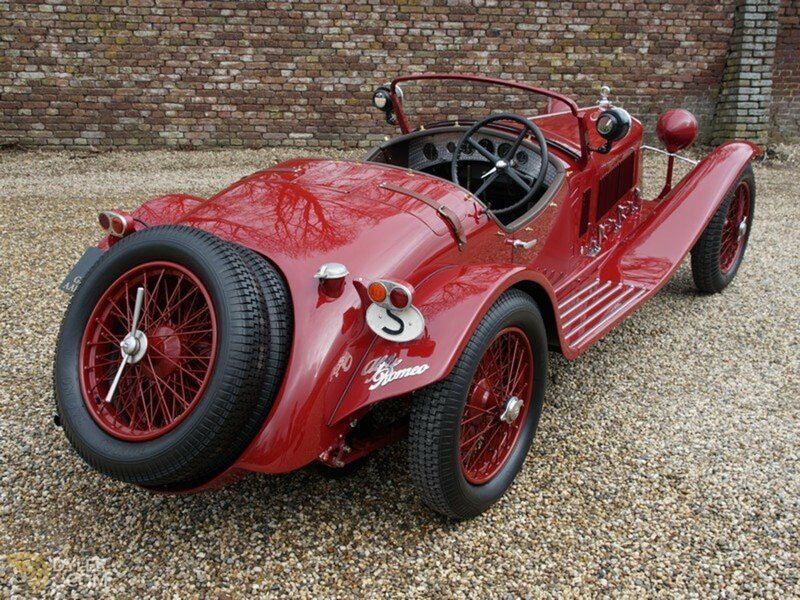 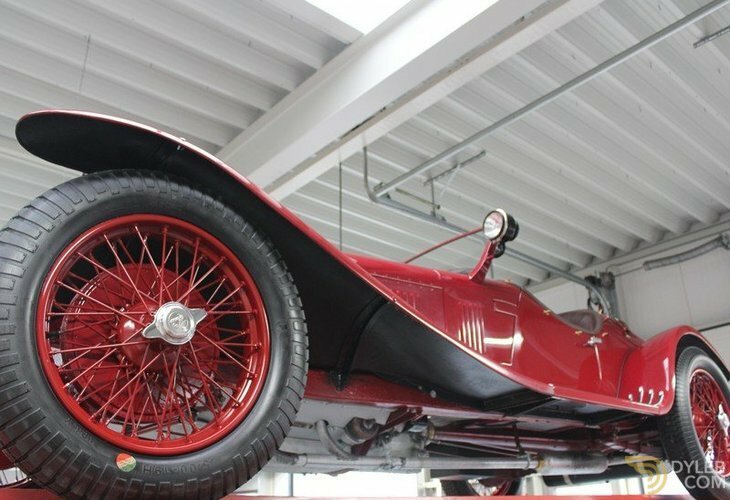 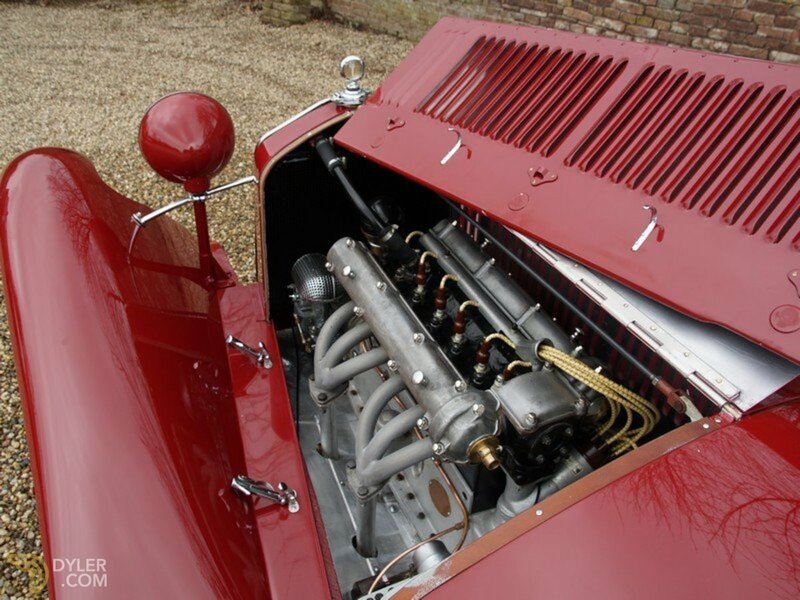 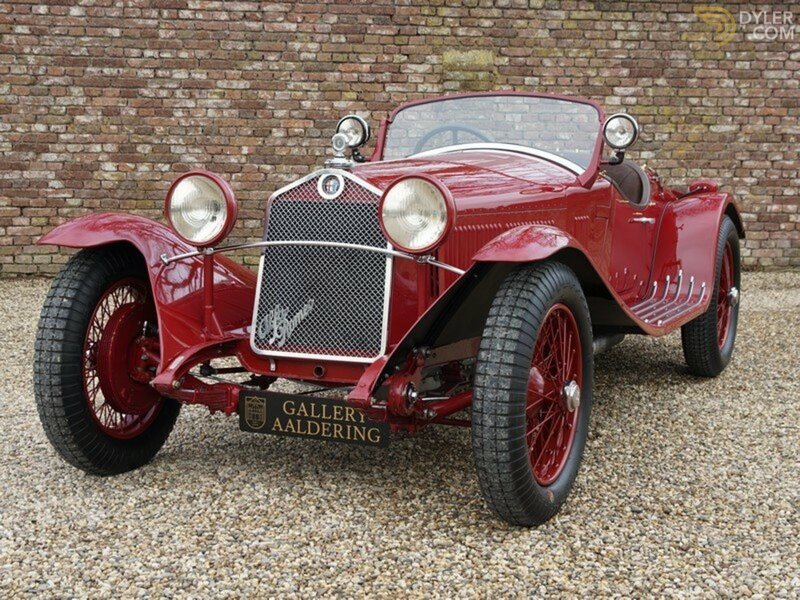 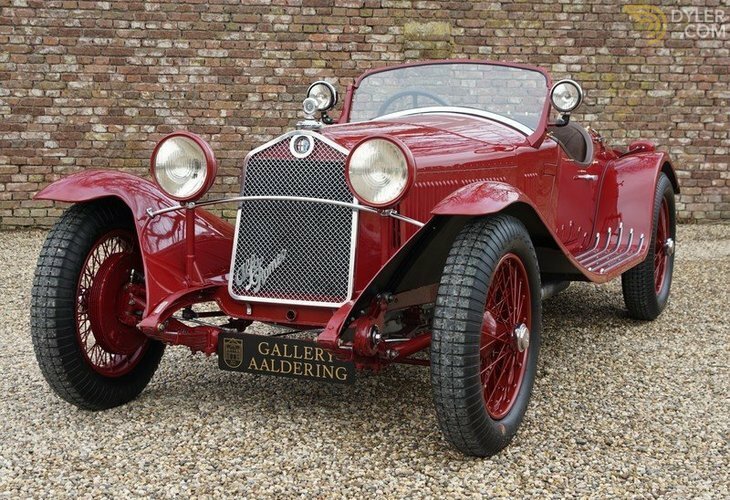 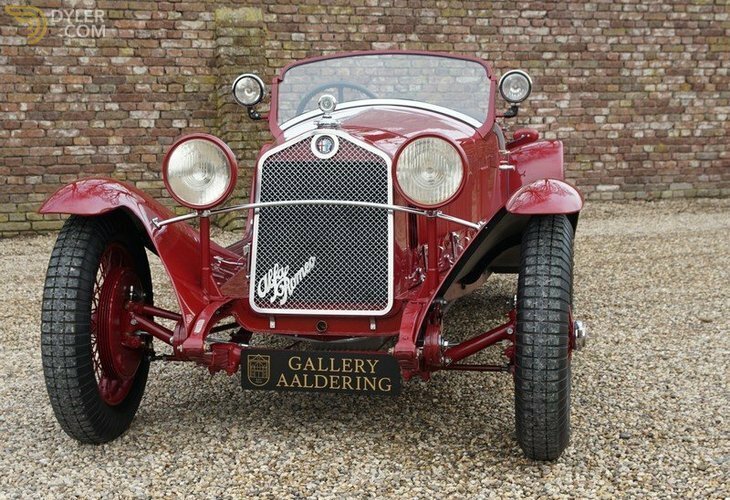 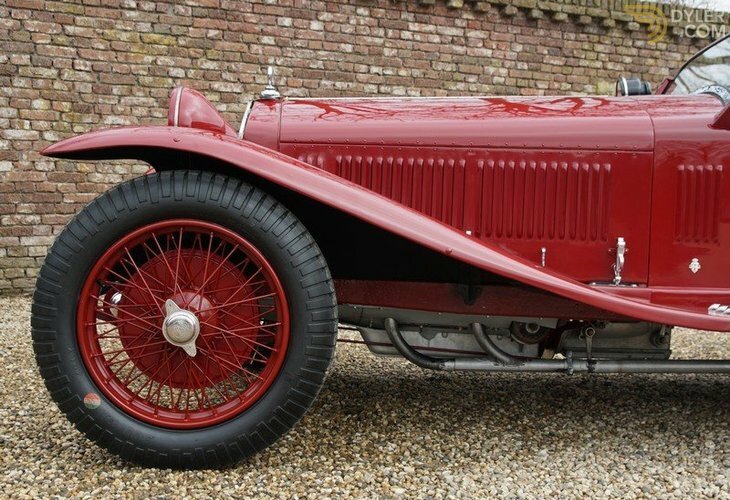 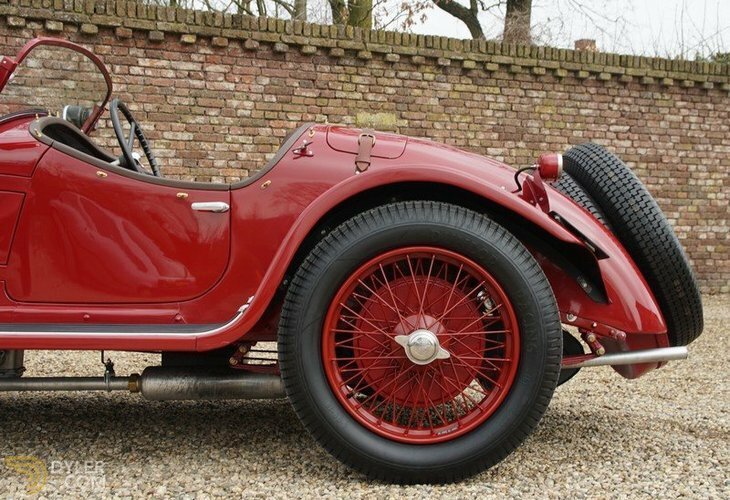 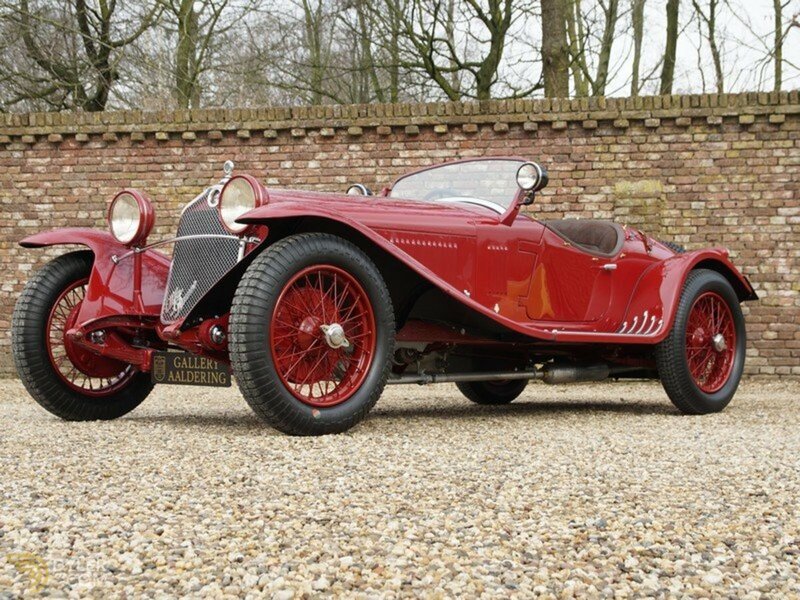 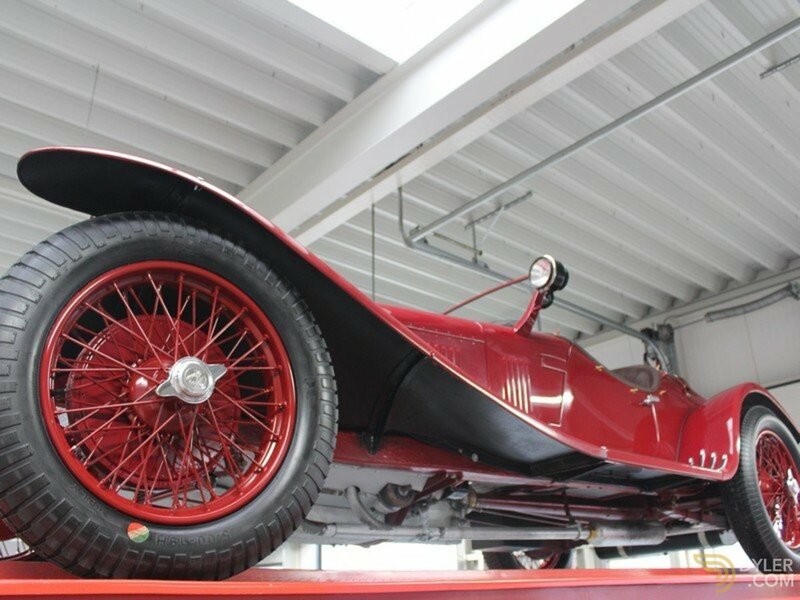 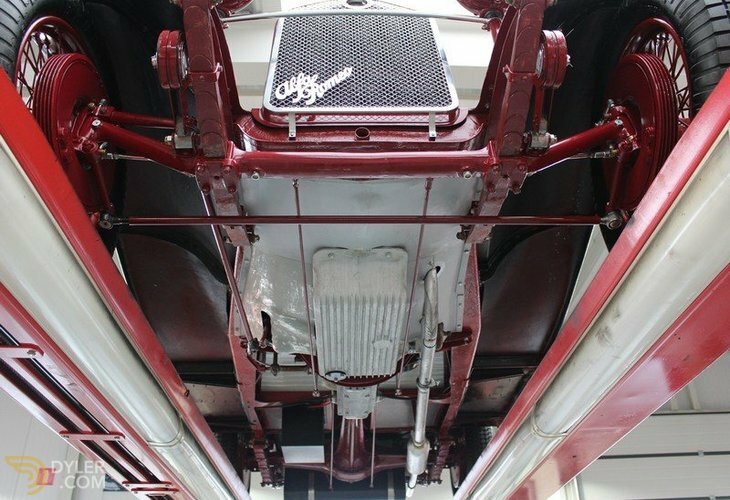 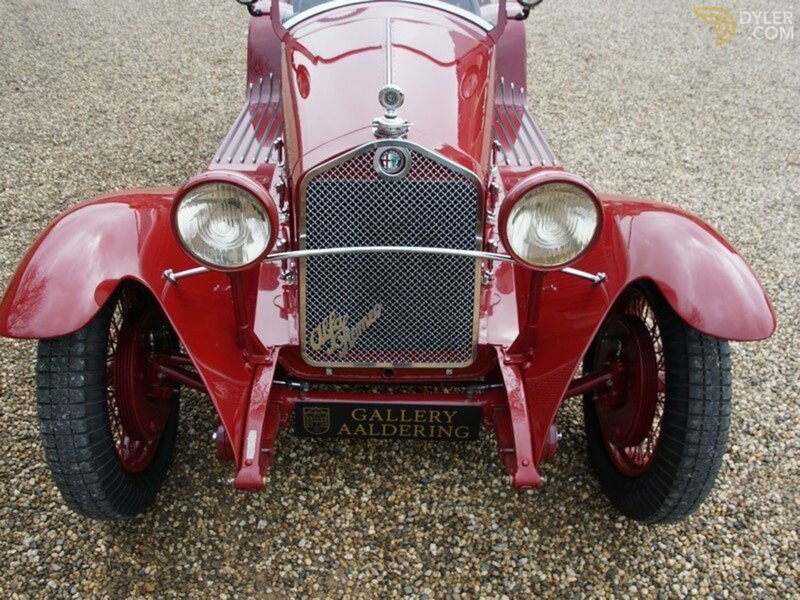 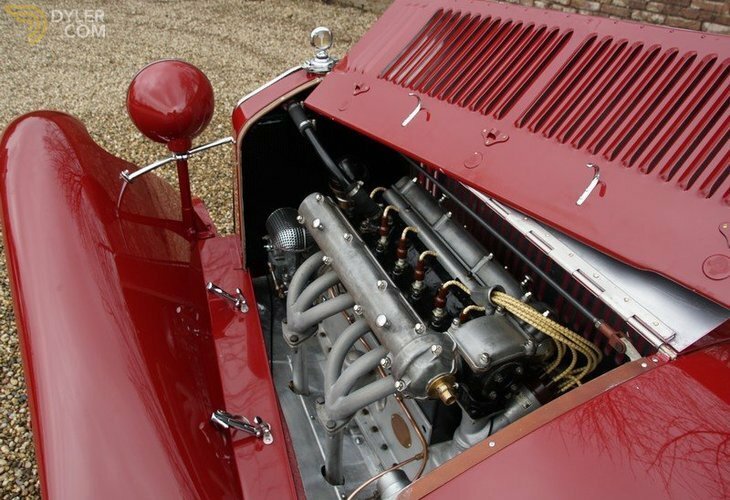 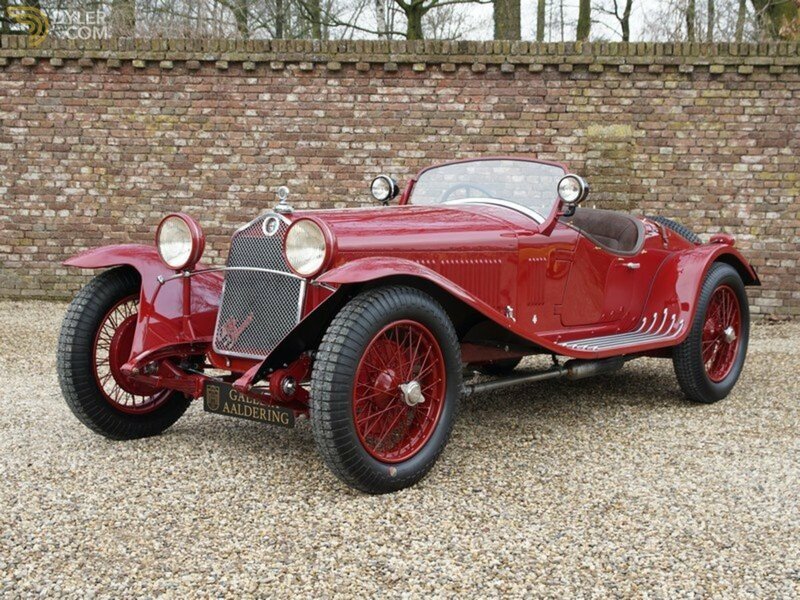 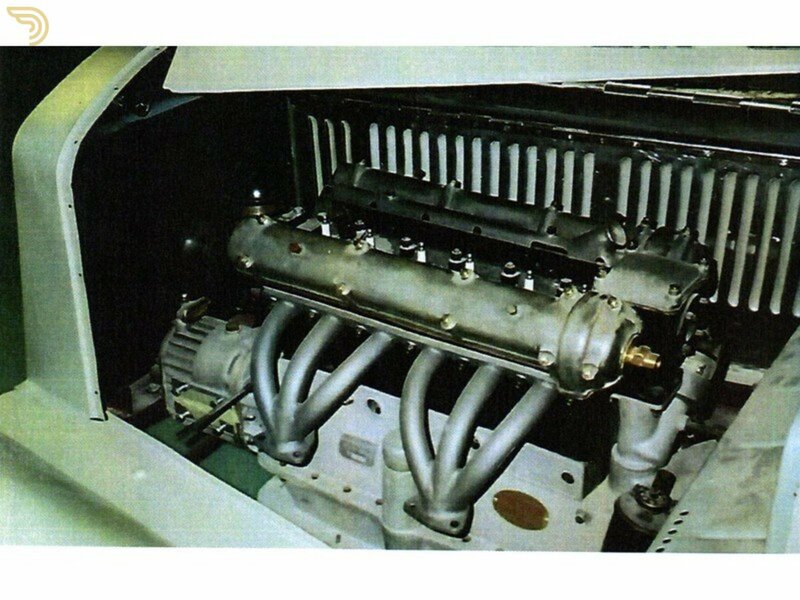 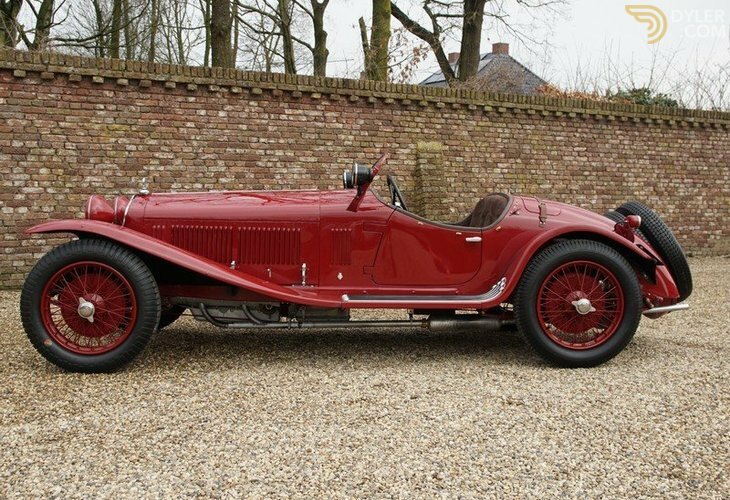 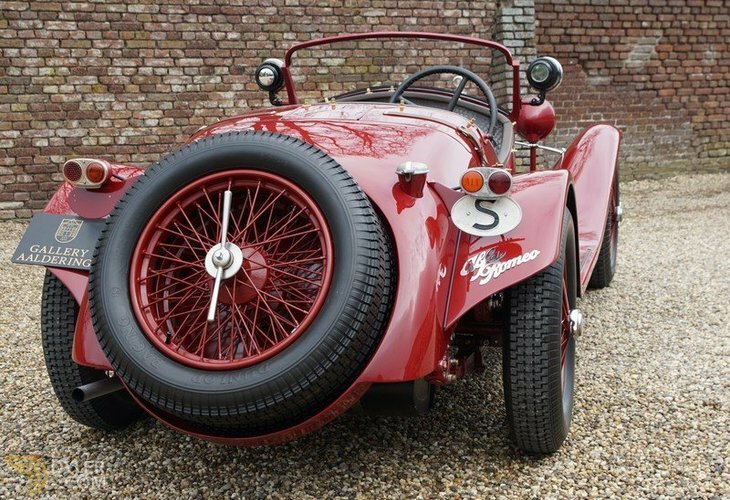 We are proud to present one of Alfa`s most prized pre-war racing legends, the unique Alfa Romeo 6C 1750 GT Compressore. 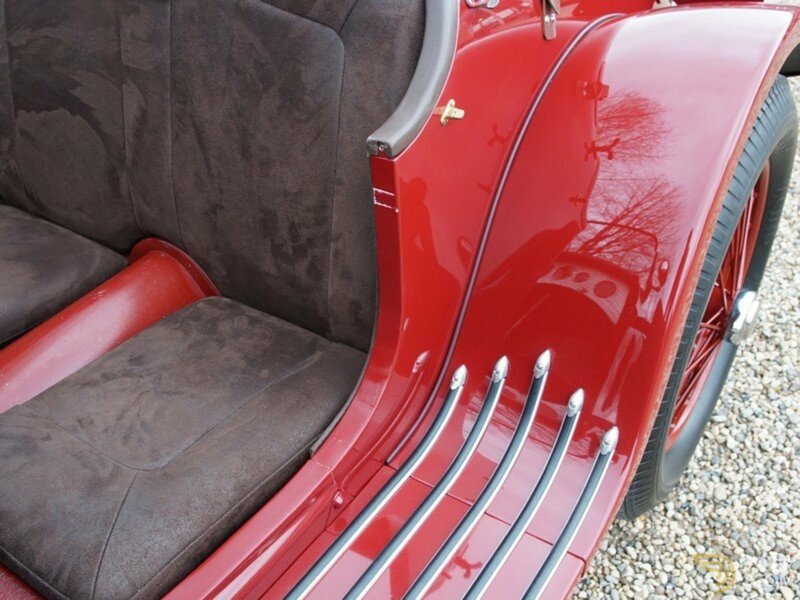 Supplied from new to a Swedish Baron on the 10th September 1931. 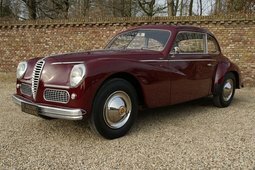 This car is the only 6C 1750 ever exported to Sweden and only one of a handful left today. 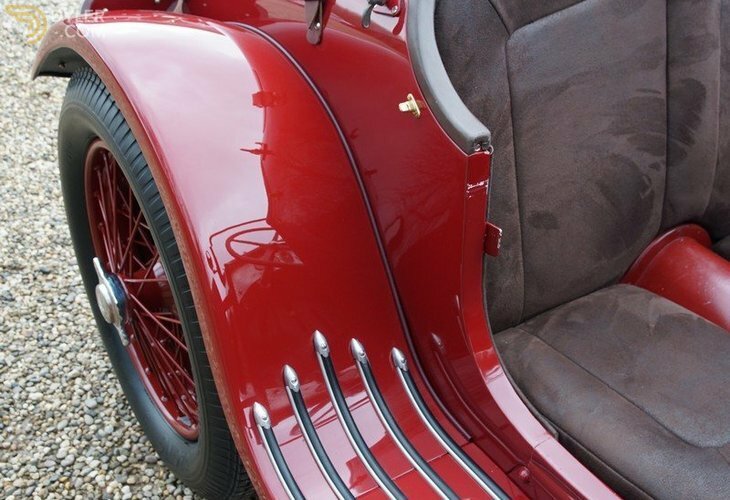 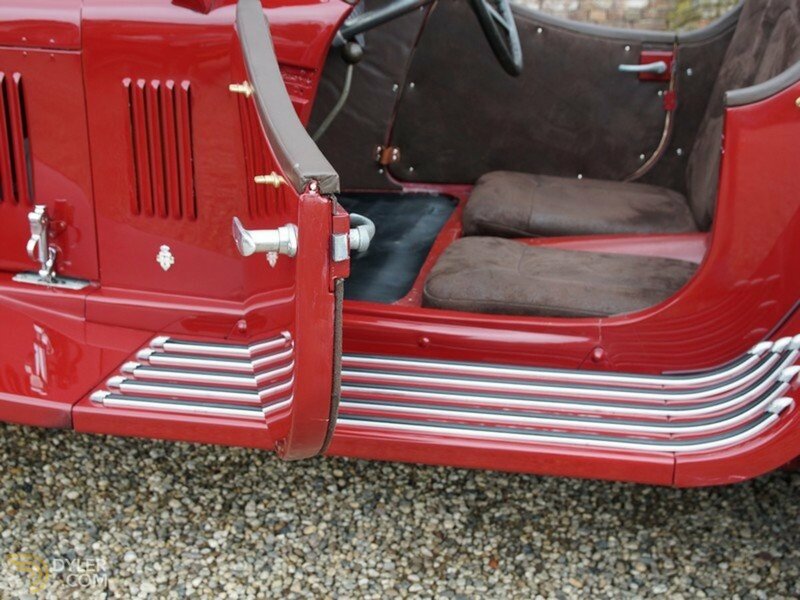 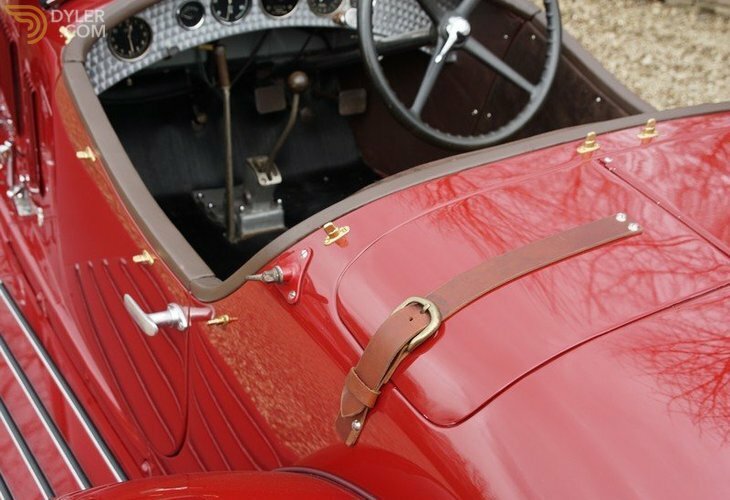 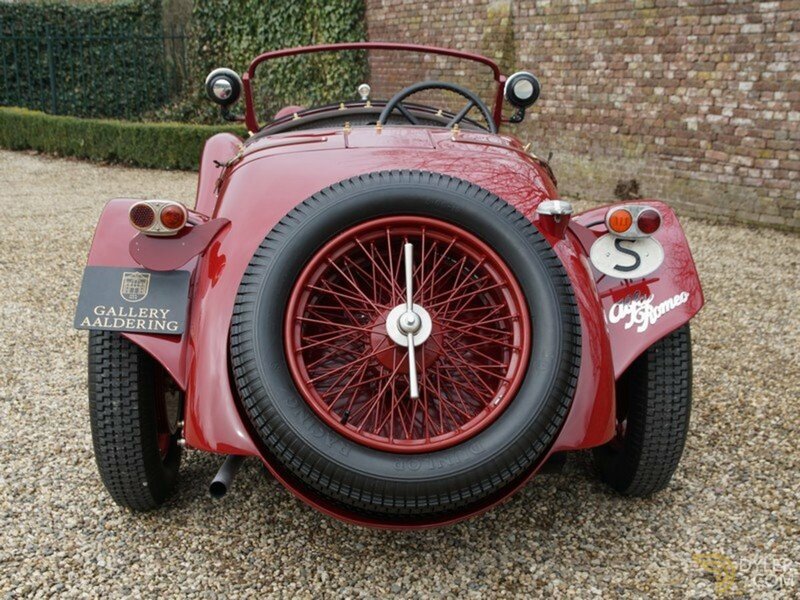 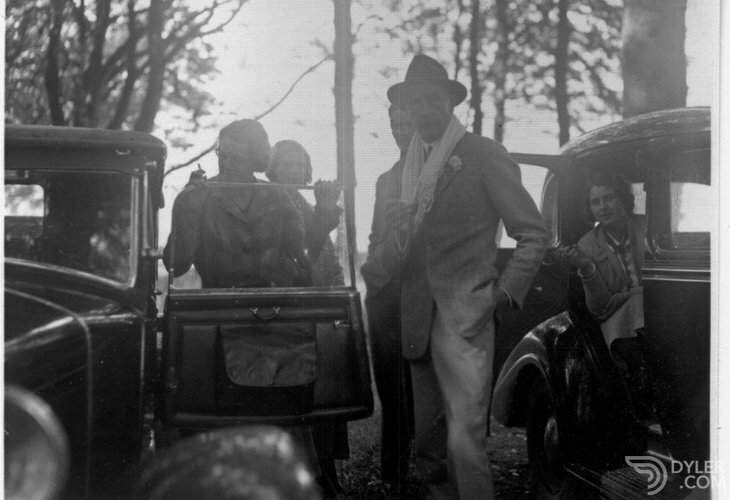 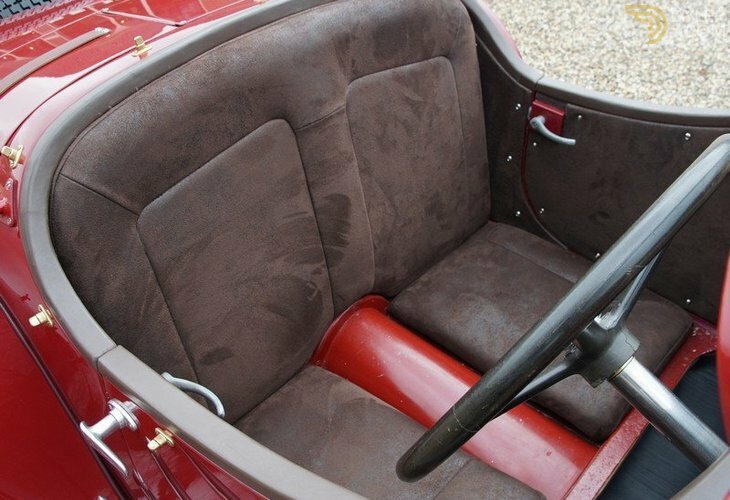 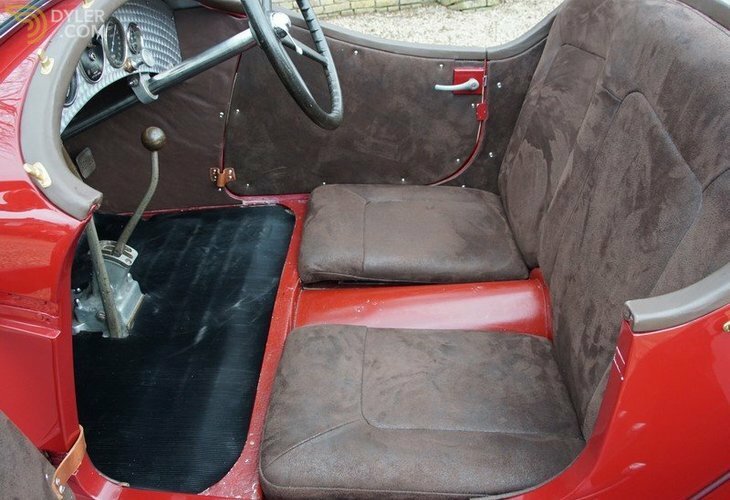 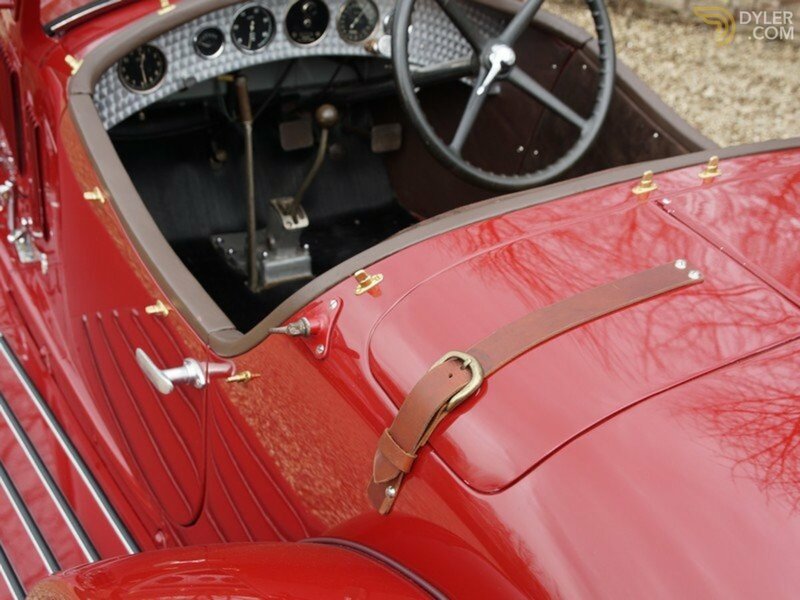 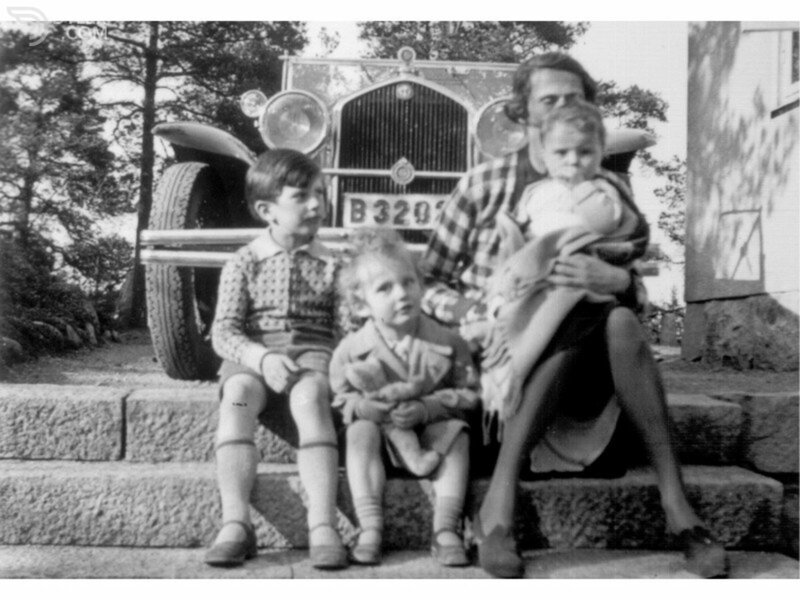 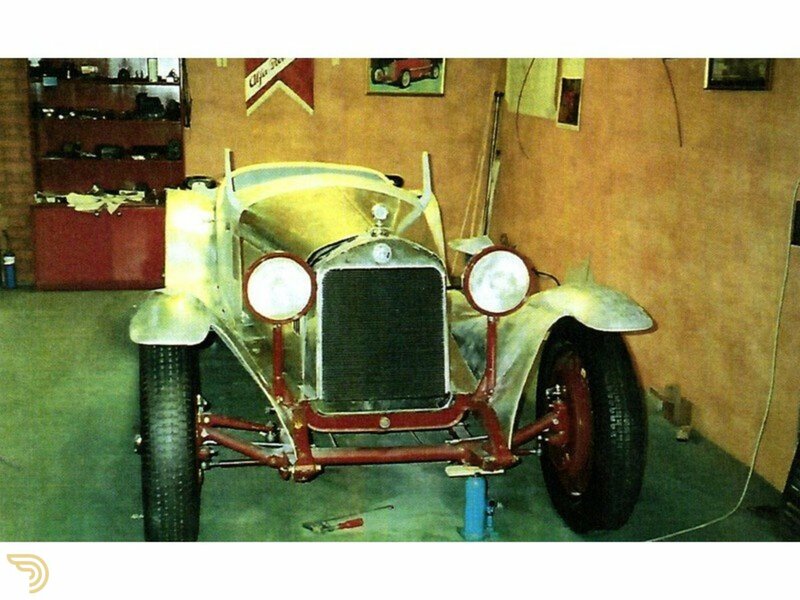 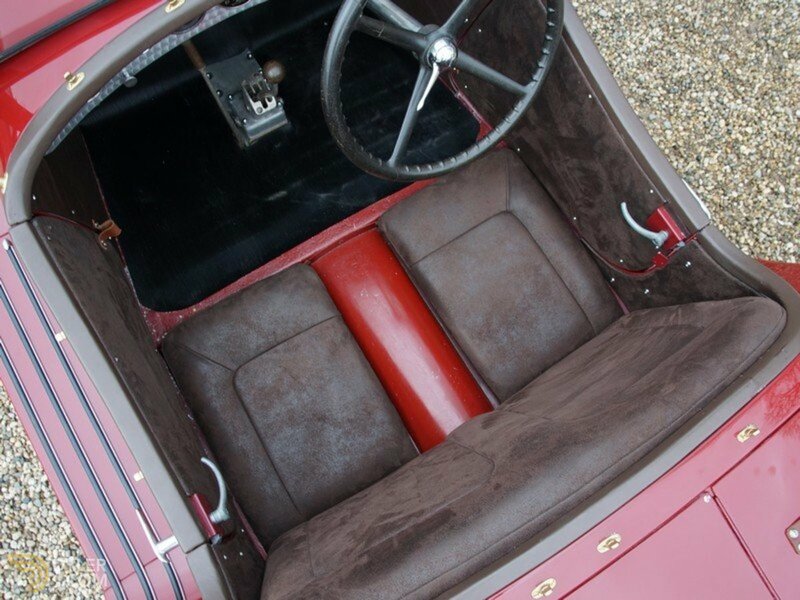 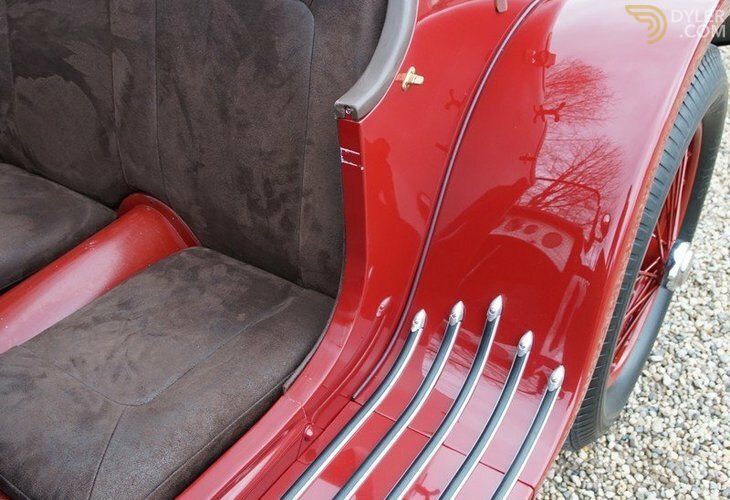 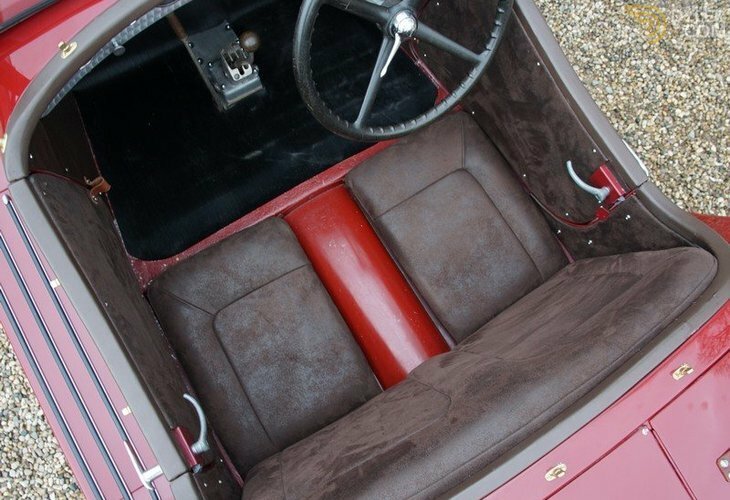 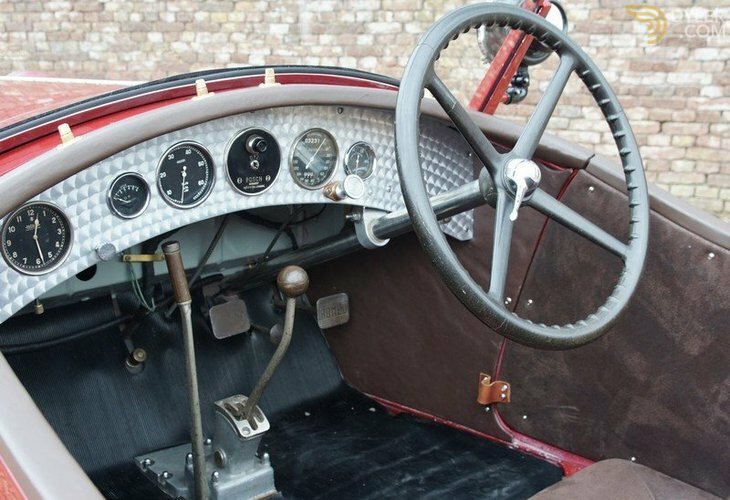 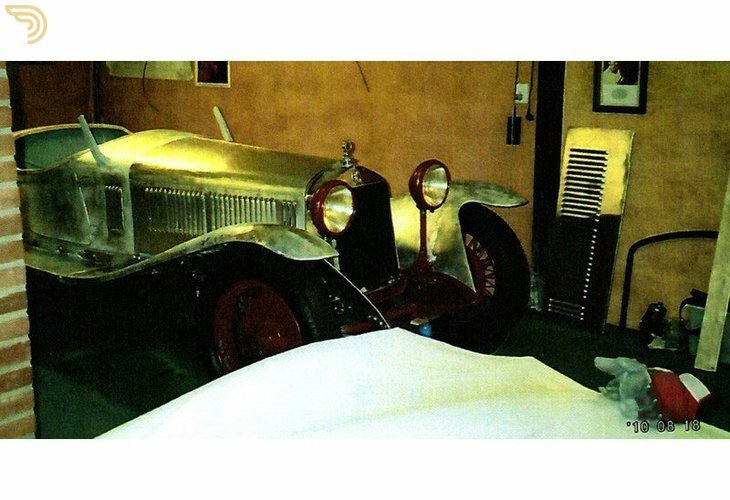 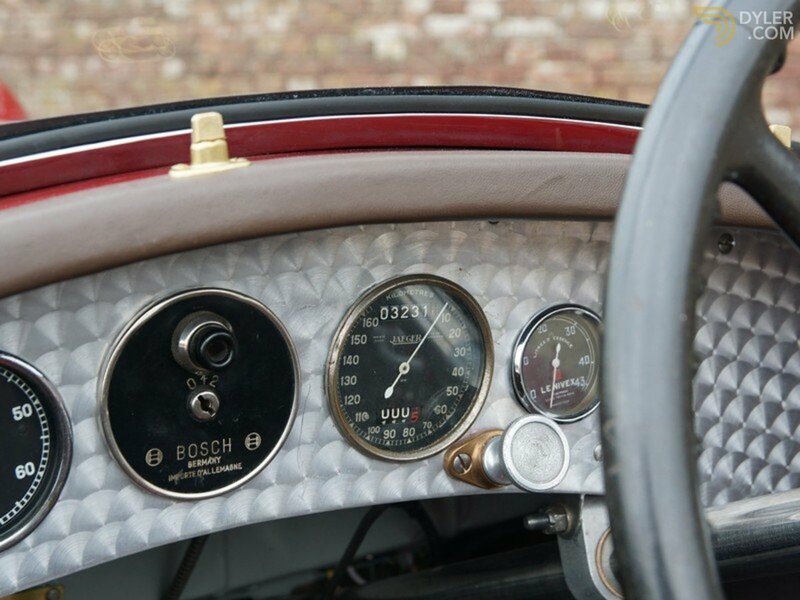 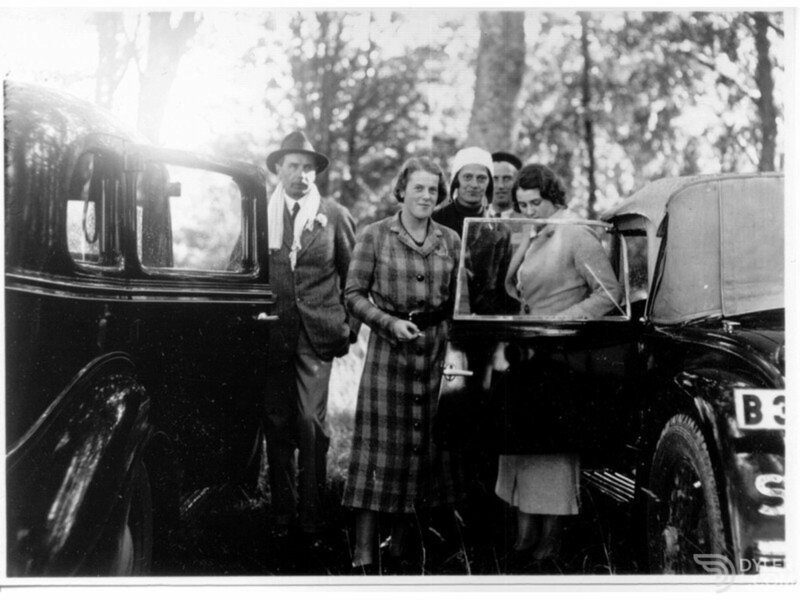 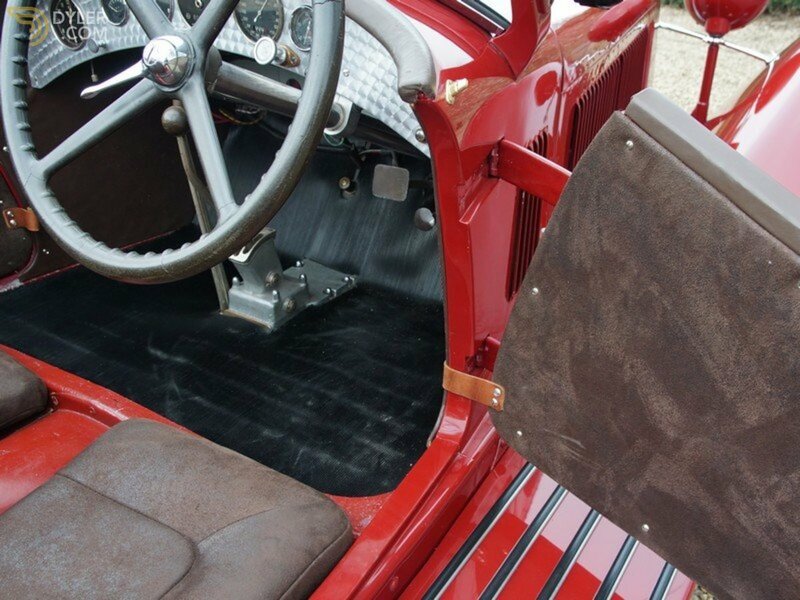 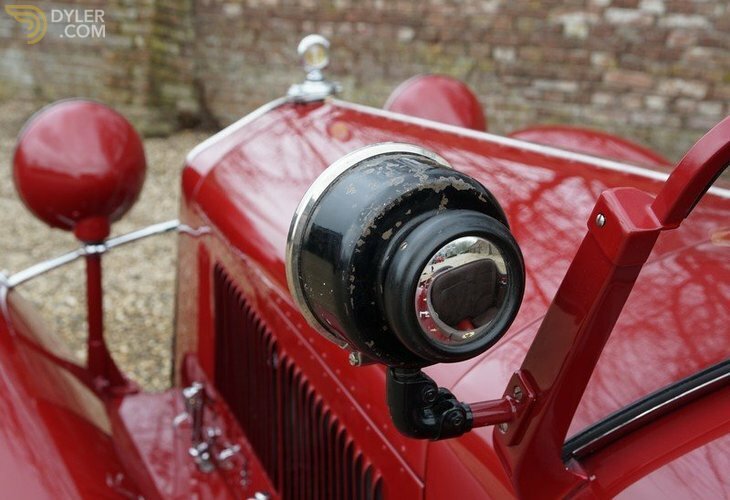 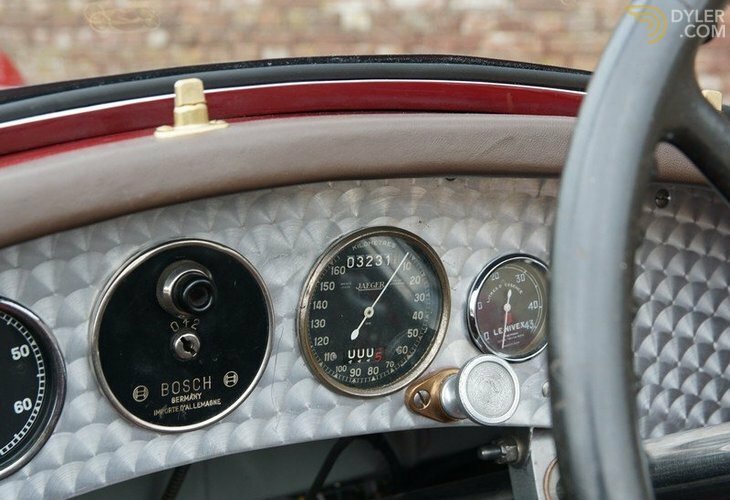 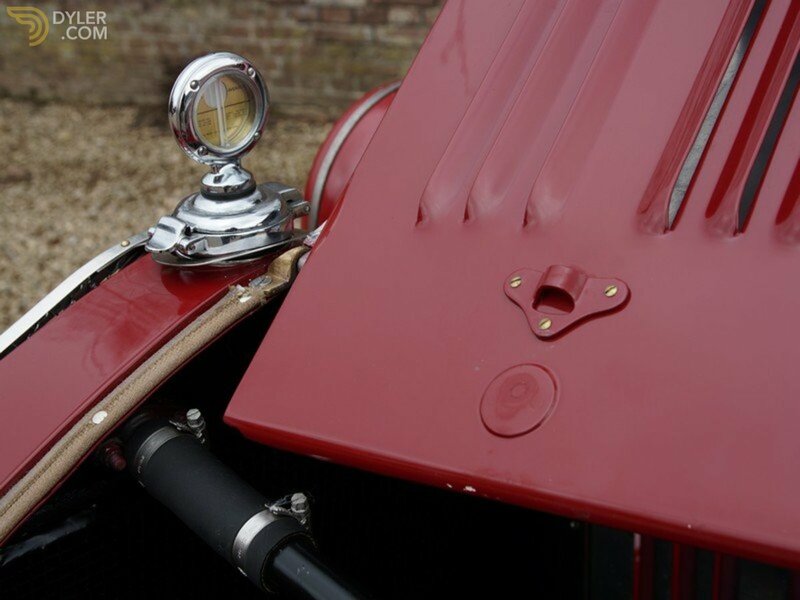 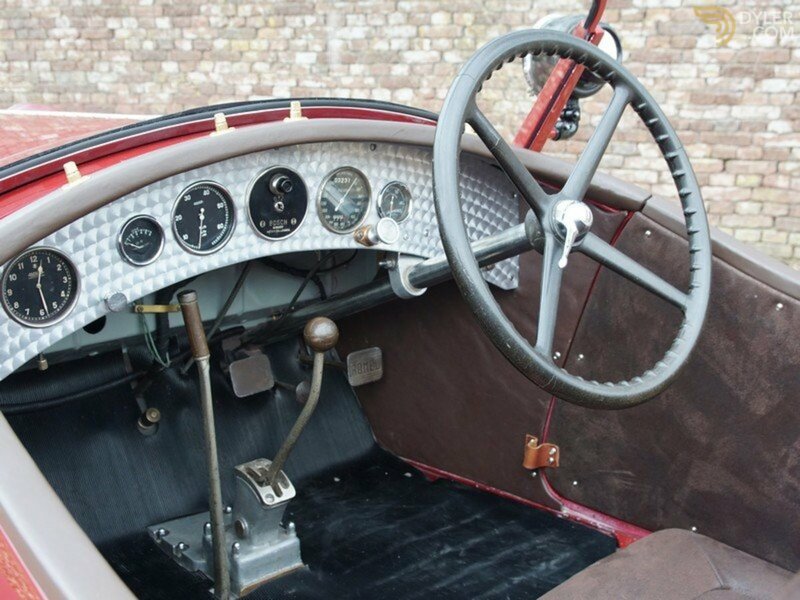 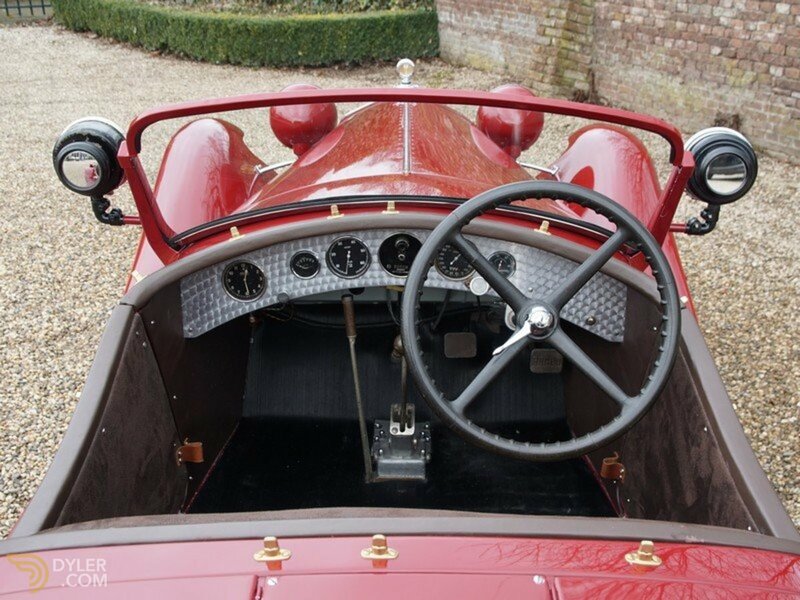 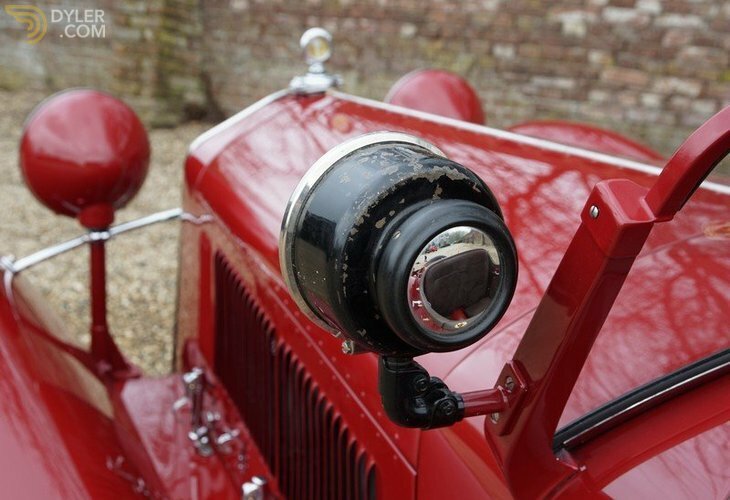 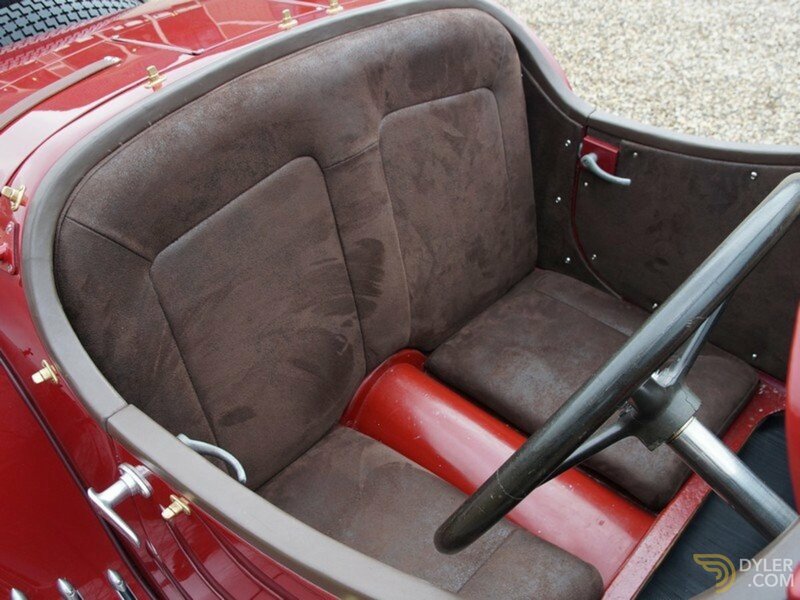 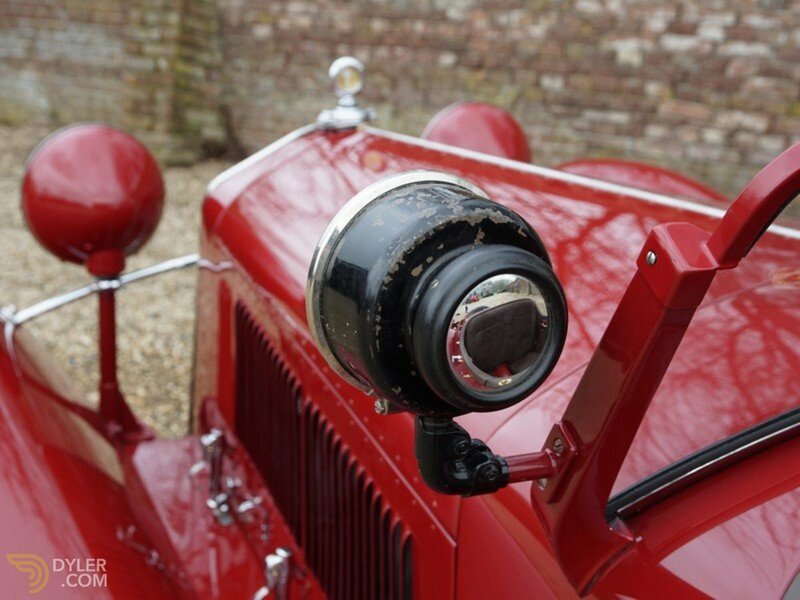 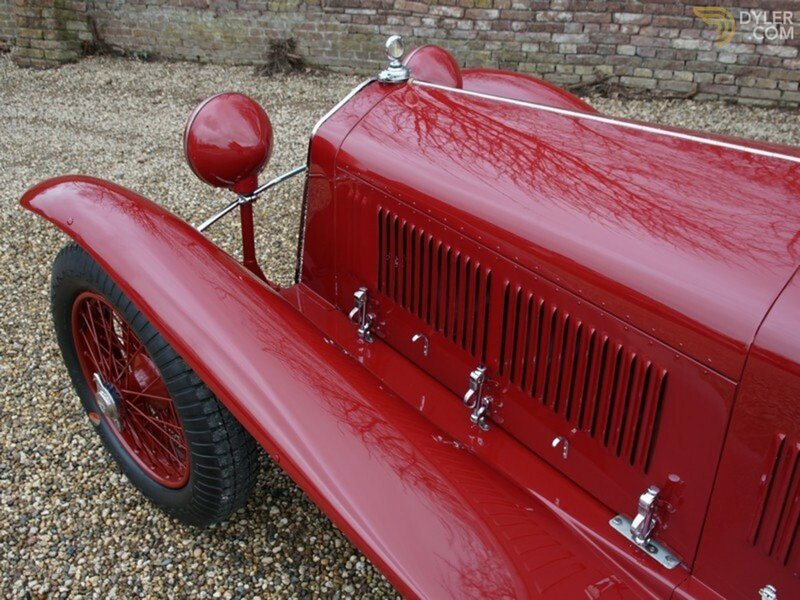 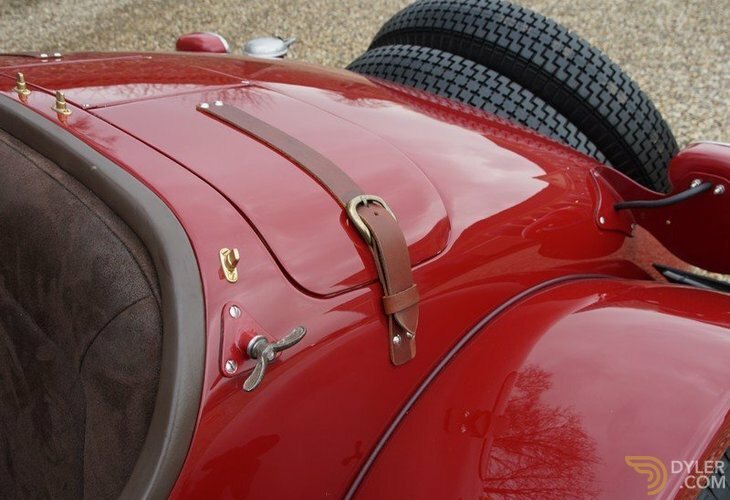 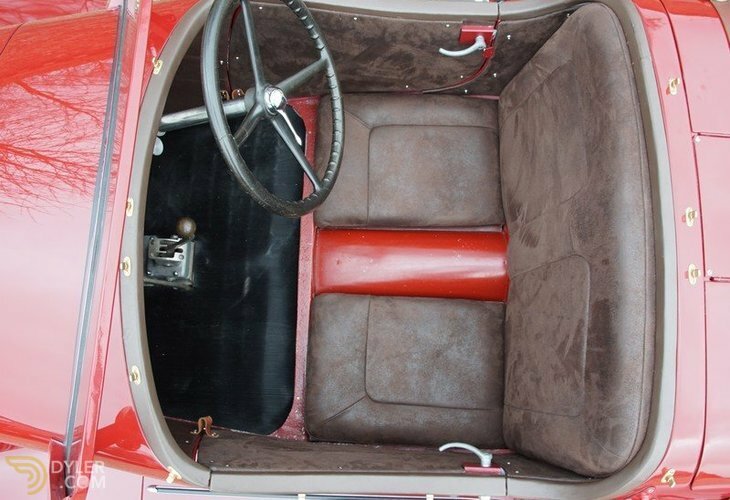 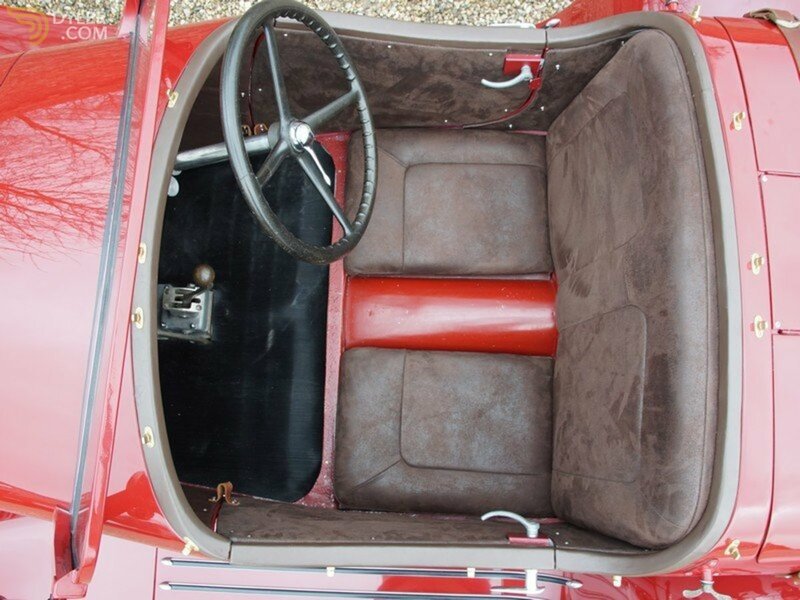 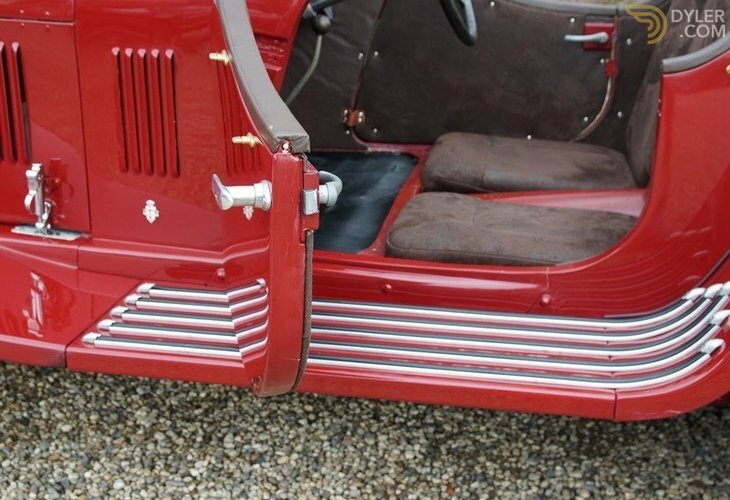 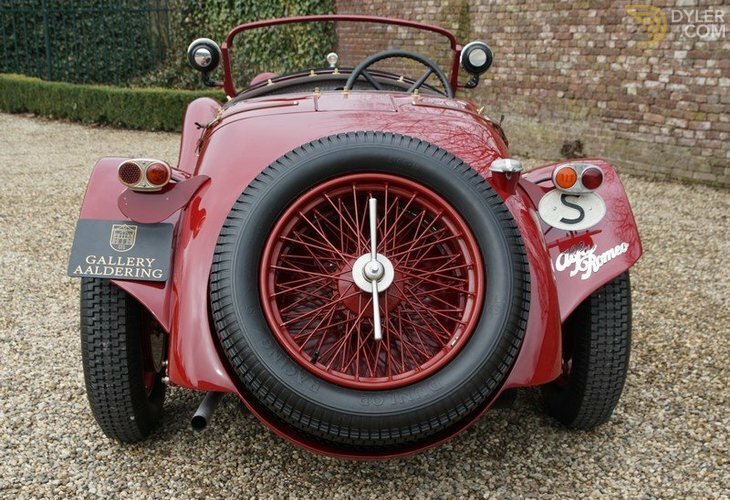 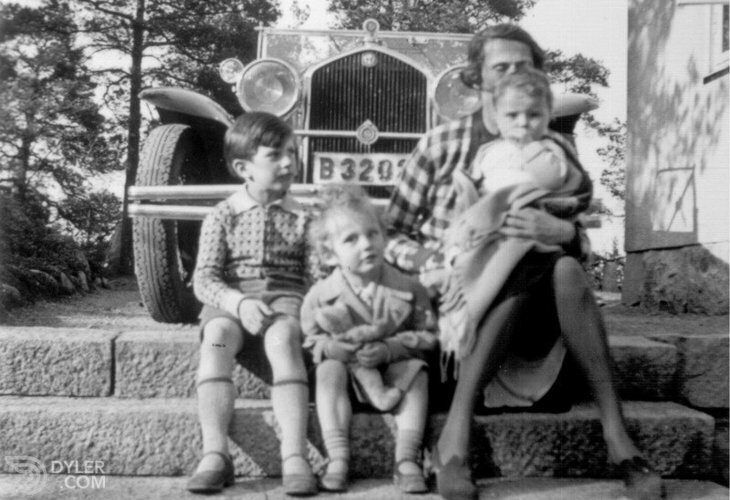 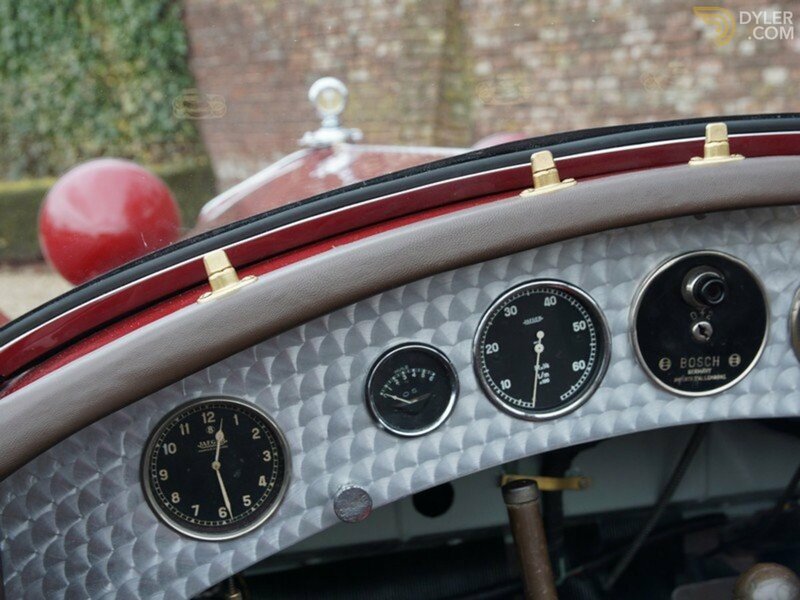 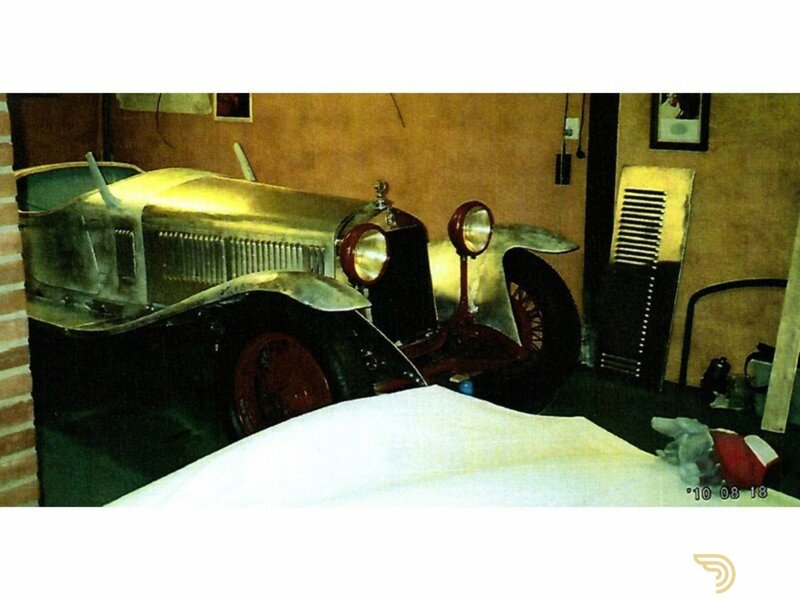 This car comes with a fully and correctly documented history, including very old photographs. 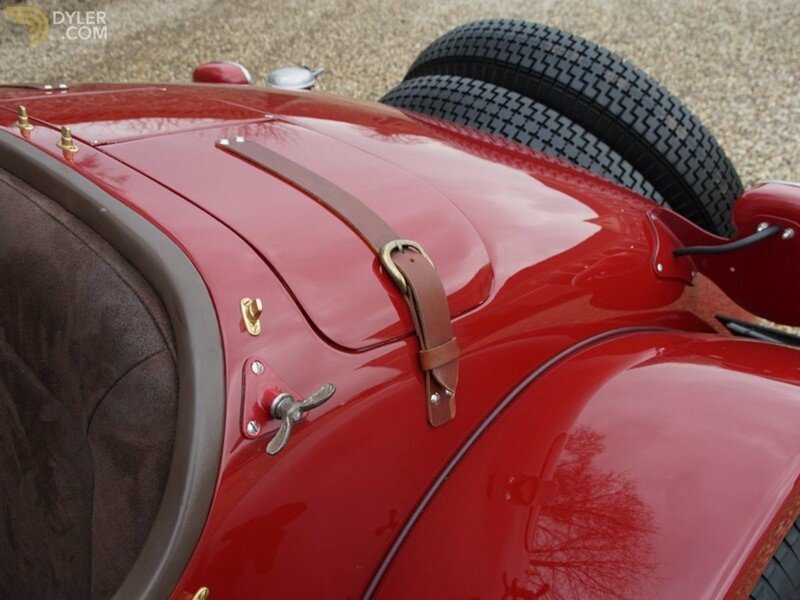 We can trace the car over the whole its lifetime. 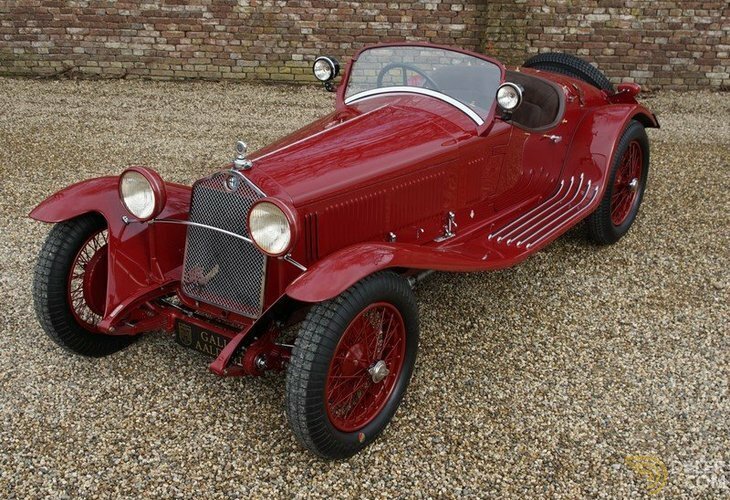 When new, it came as a two-door convertible with the bodywork by Garavini of Torino on a short base. 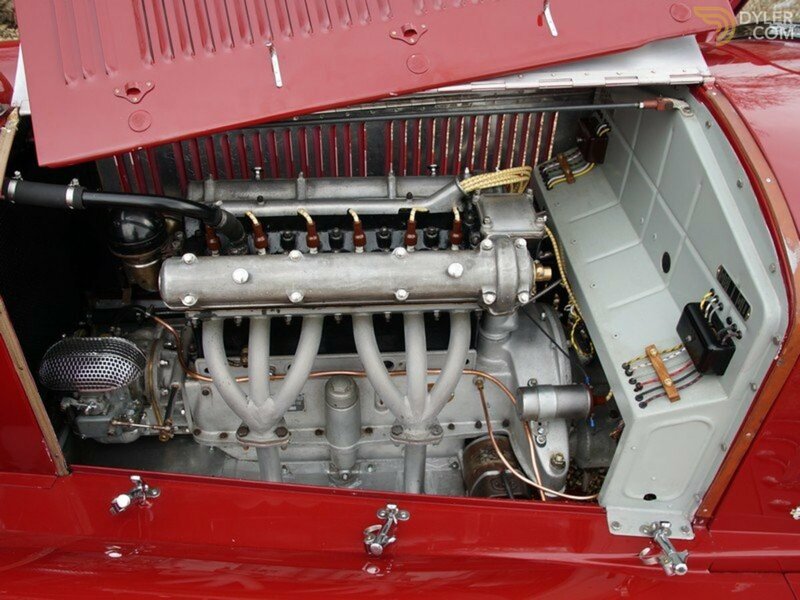 This is an authentic short base 6C with the original compressor 6C engine and gearbox. 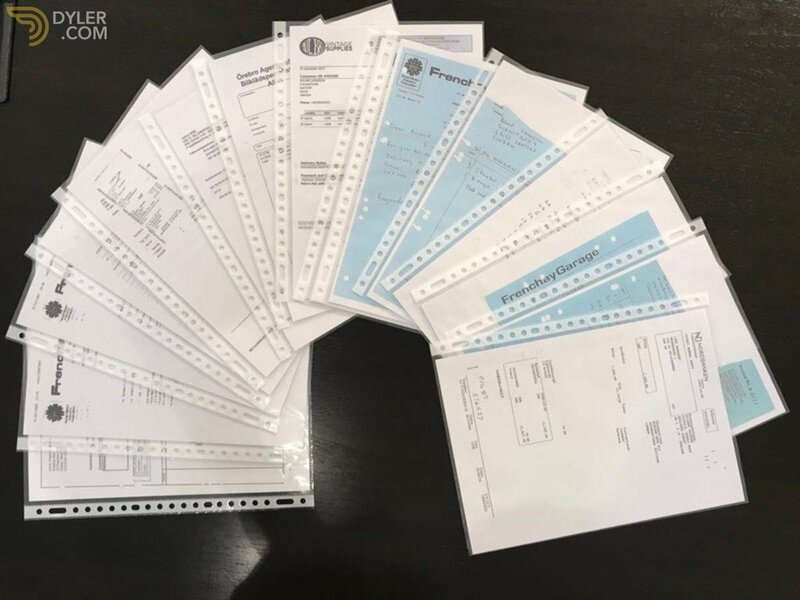 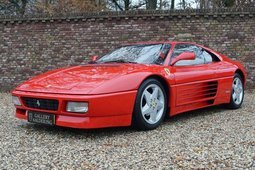 The fourth and last owner bought the car 20 years ago. 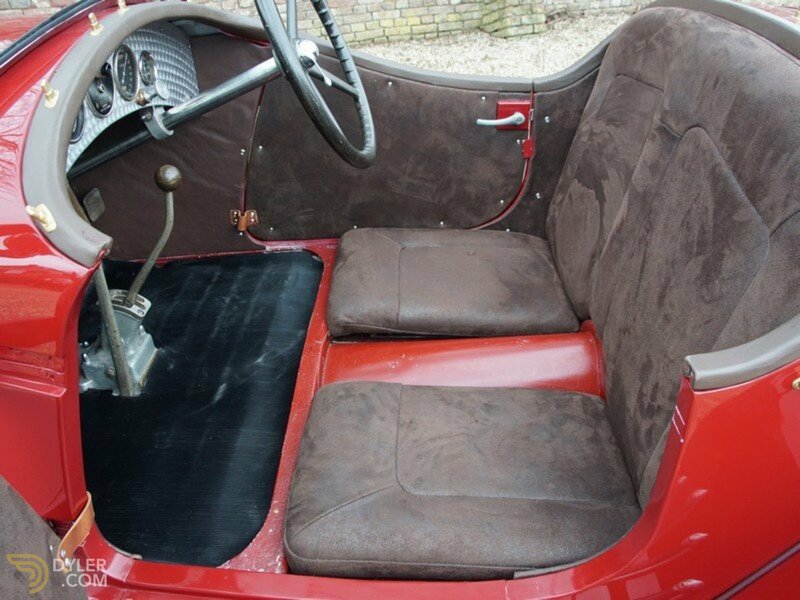 Since then it has been fully restored and mechanically overhauled. 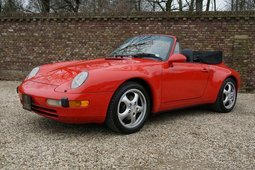 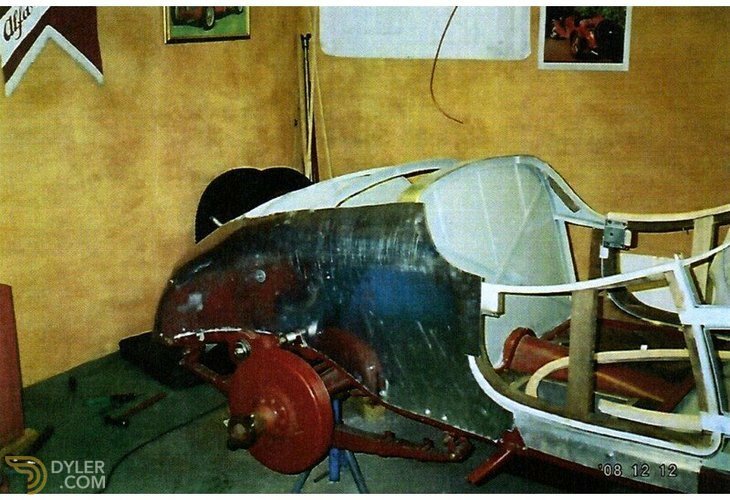 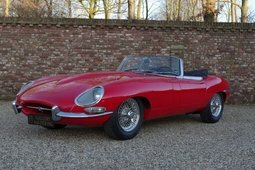 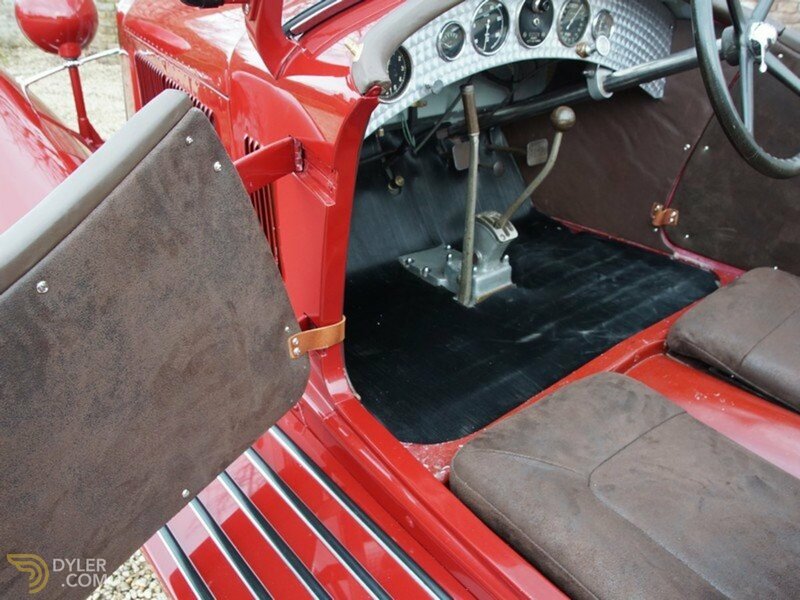 During the restoration in the 90`s the bodywork was re-styled as a Touring Spyder. 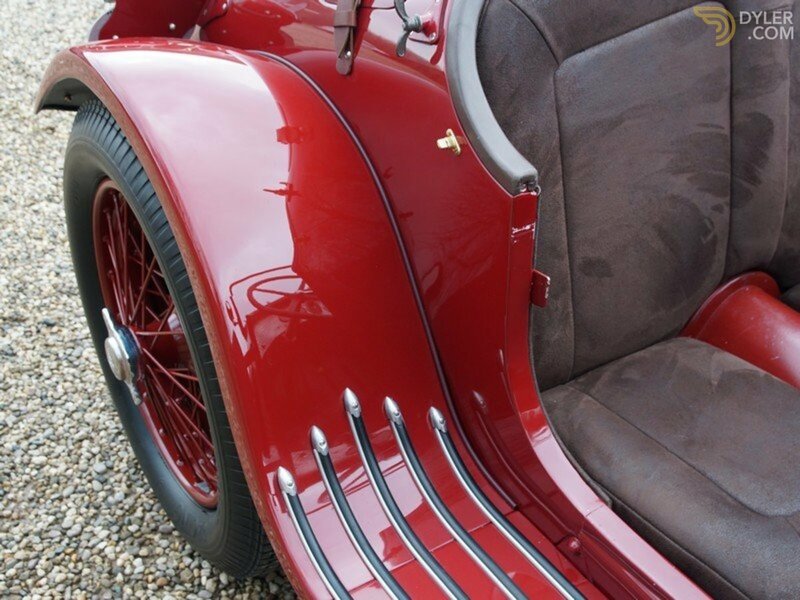 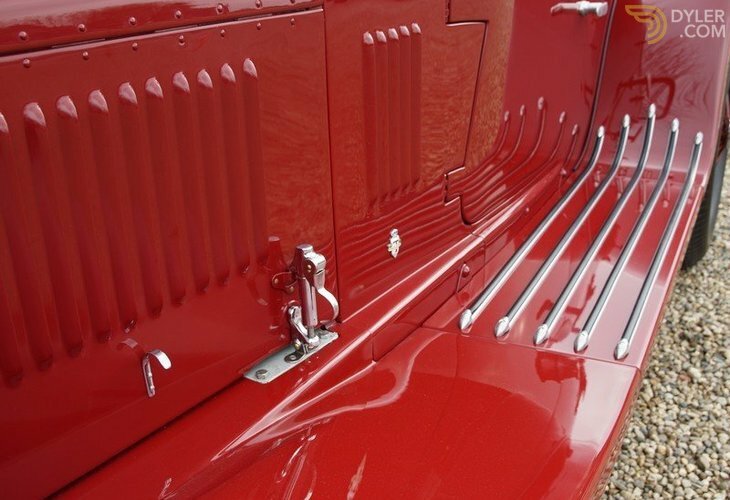 The aluminium bodywork is totally handcrafted! 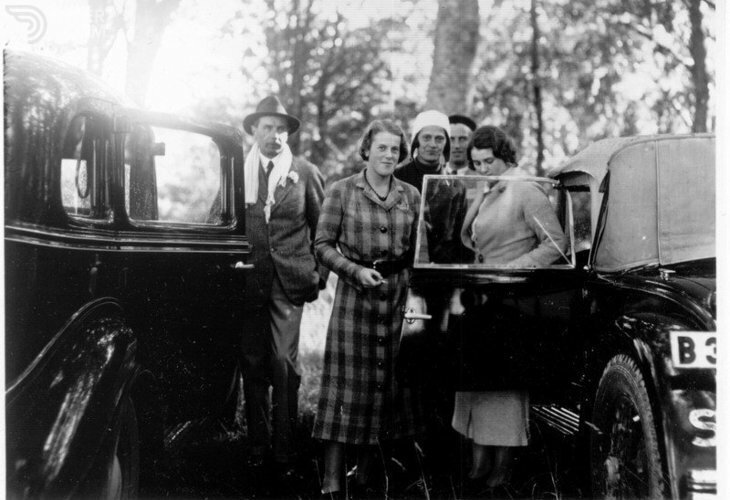 The whole process has been carefully photographically documented. 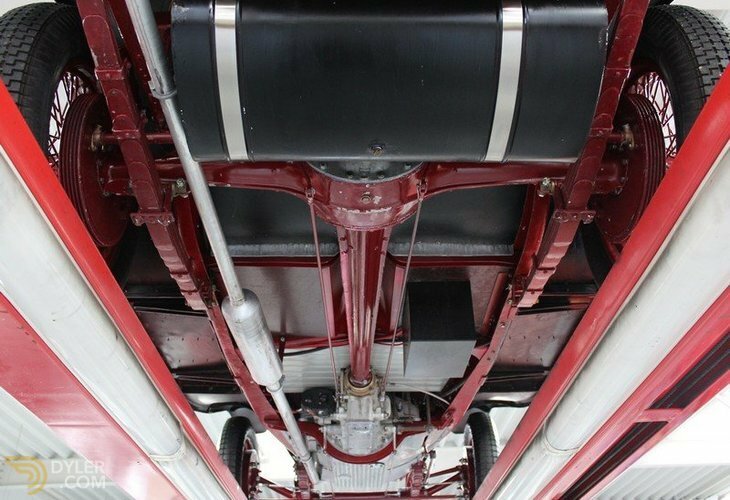 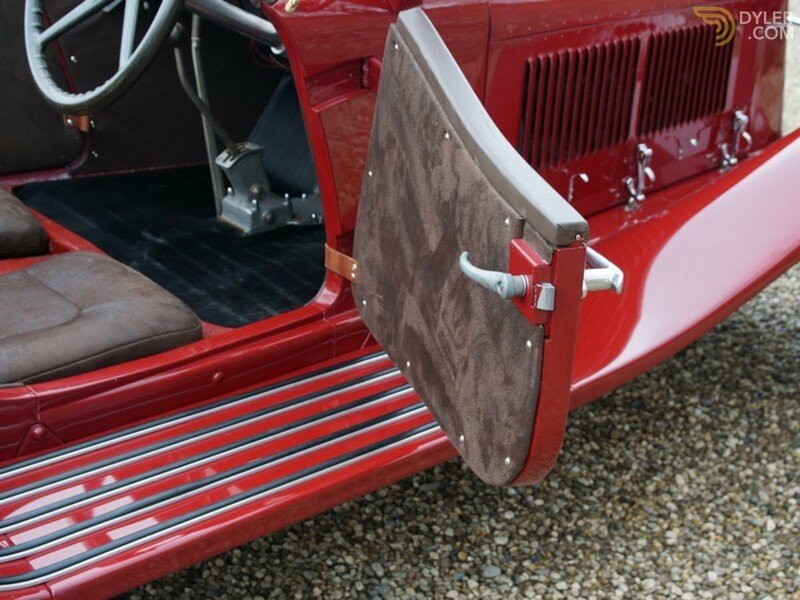 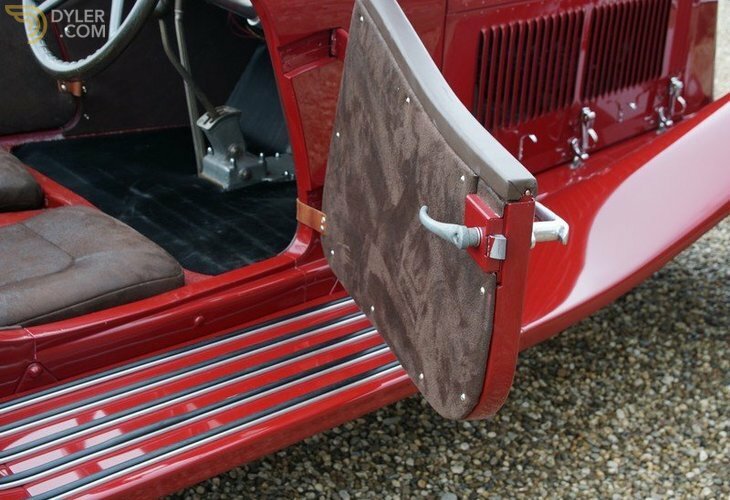 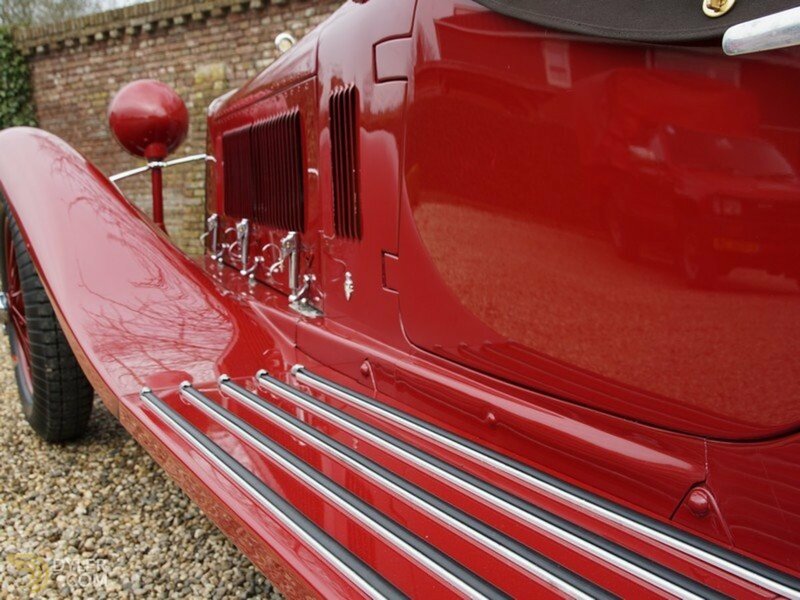 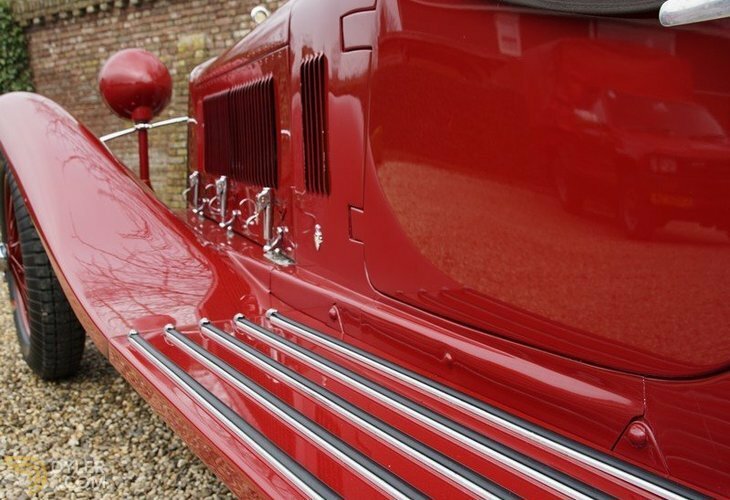 The stunning open Touring coachwork in combination with the powerful compressor engine is just fantastic! 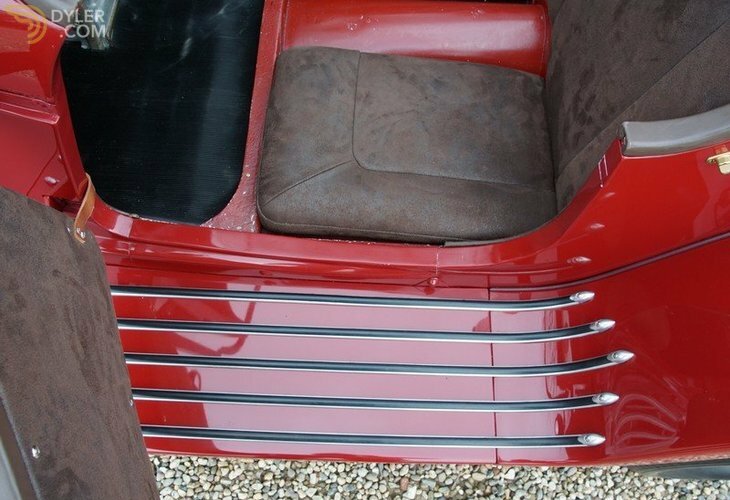 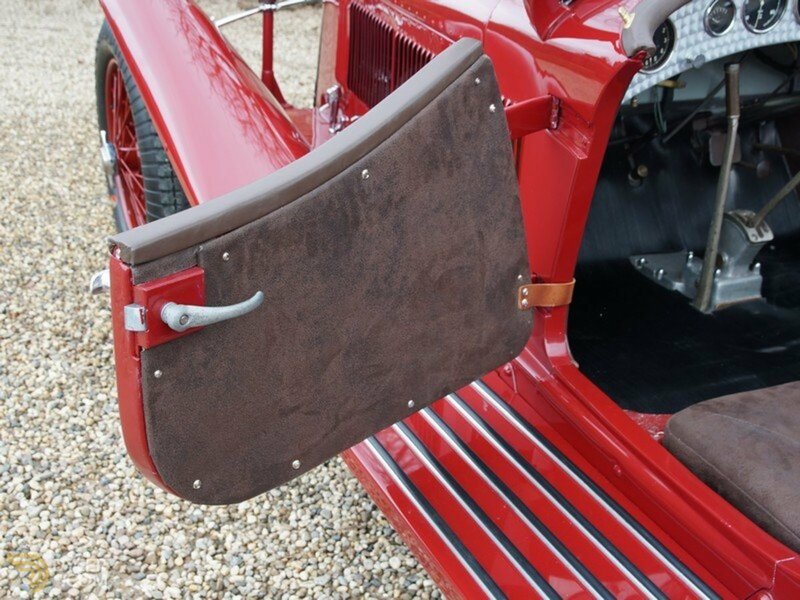 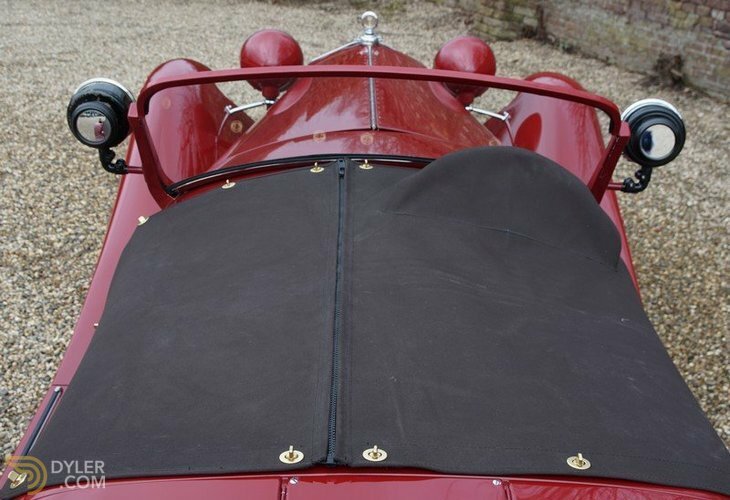 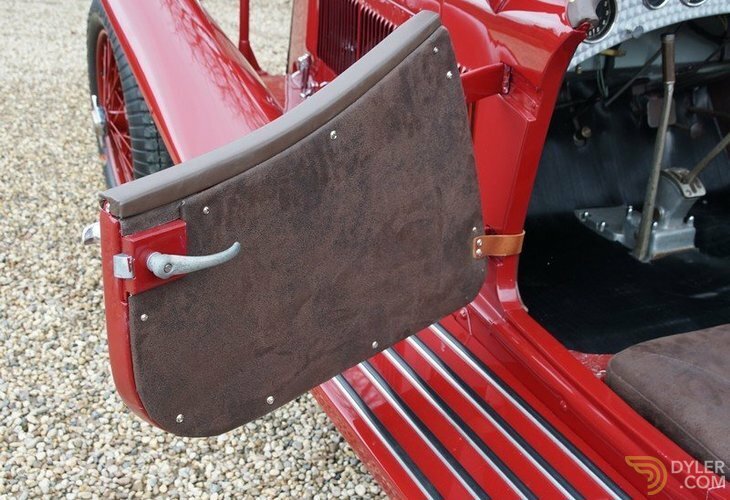 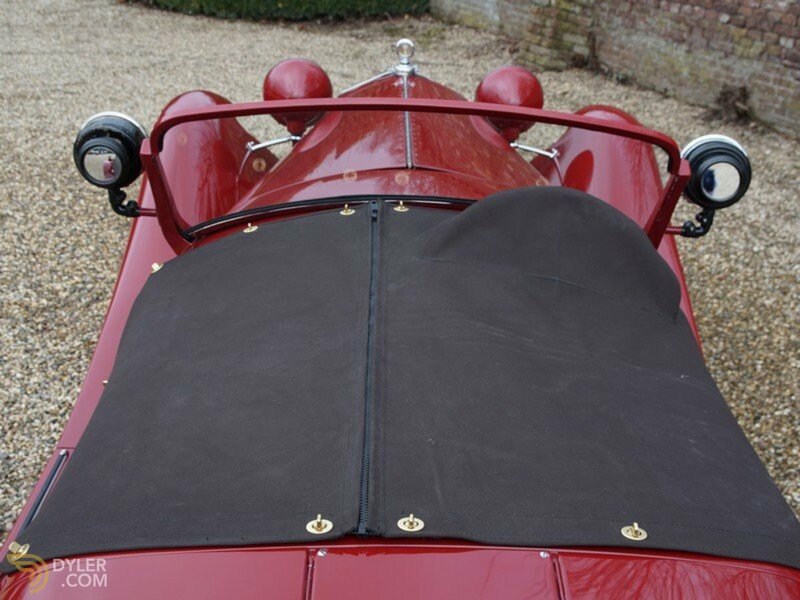 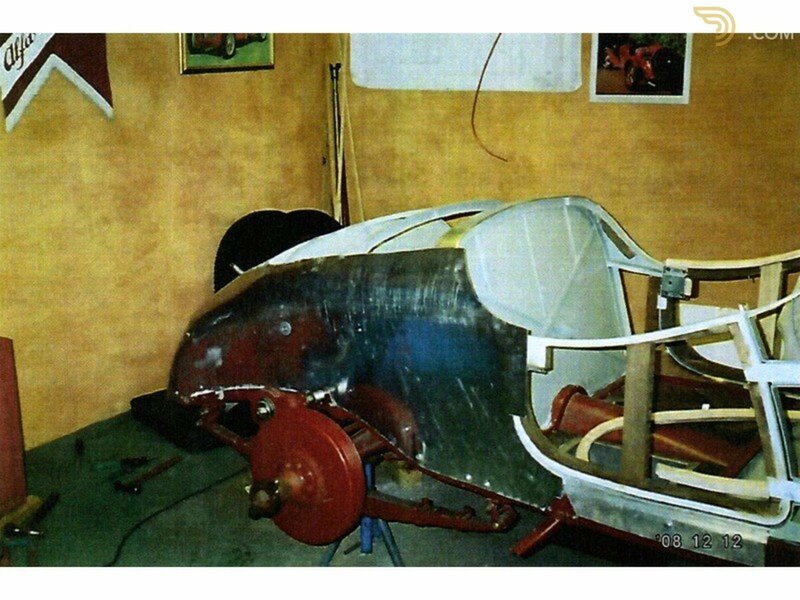 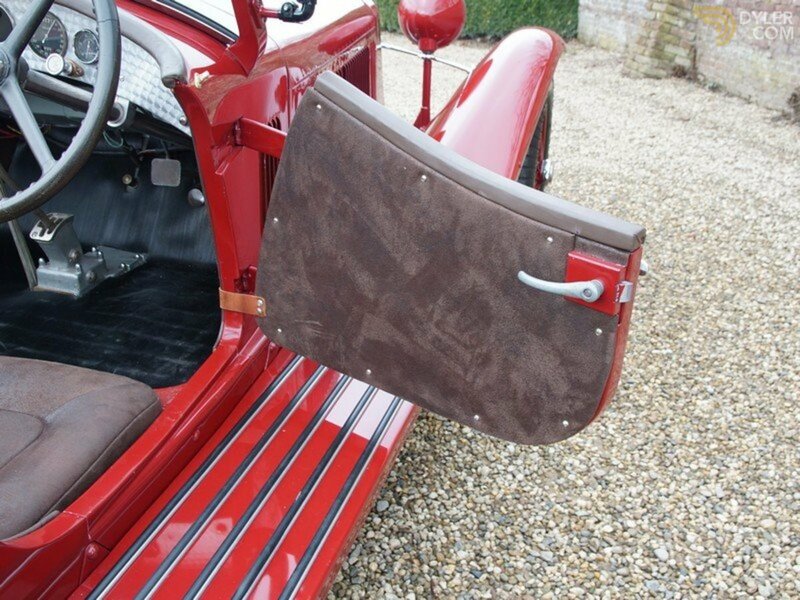 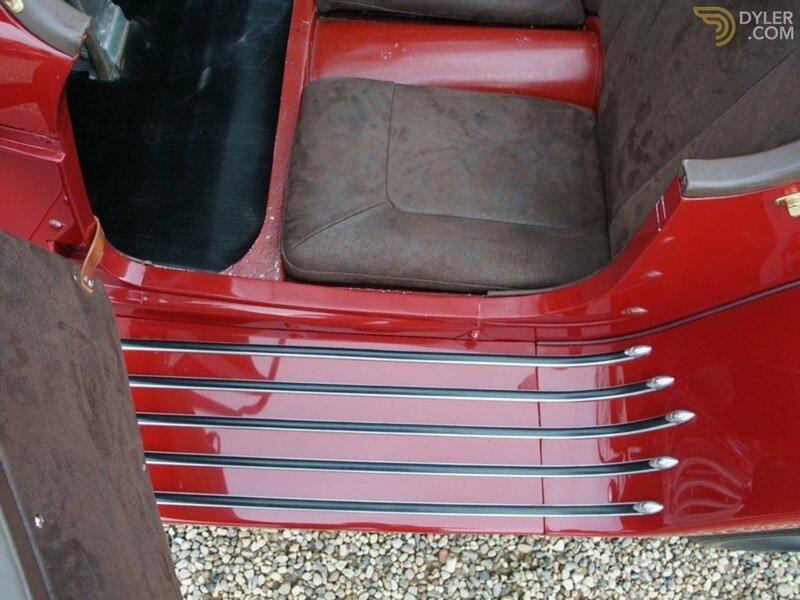 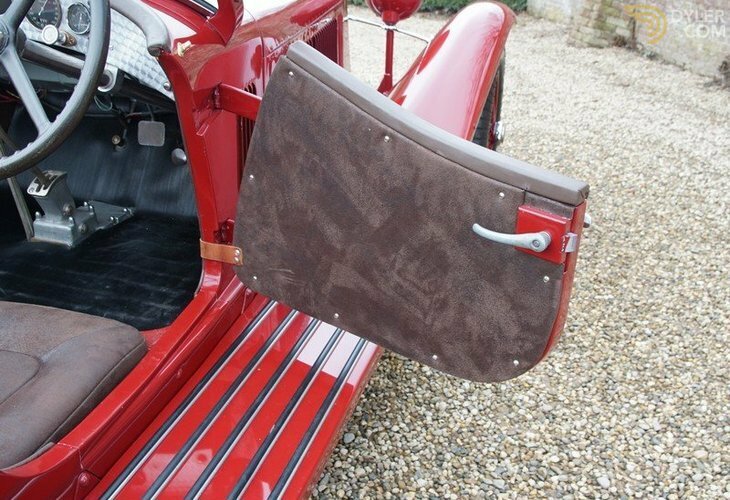 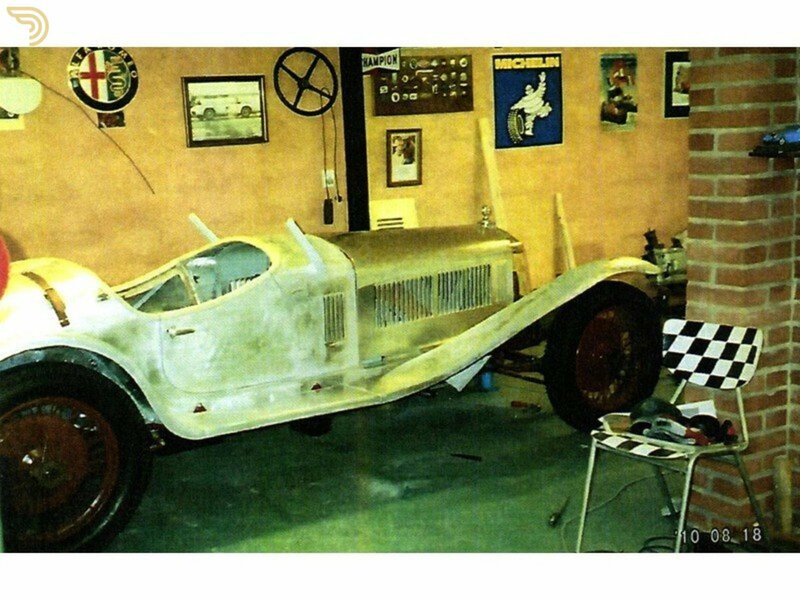 The bodywork has perfect alignment and snug fitting body panels. 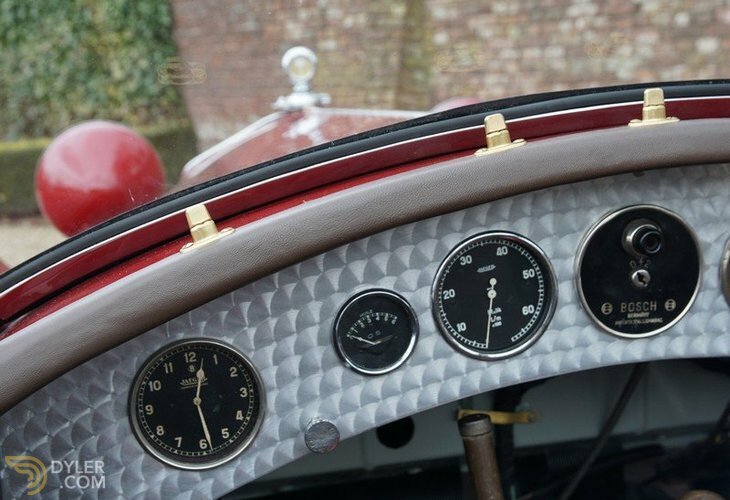 The finish, the interior and the very authentic details are all in a sublime condition. 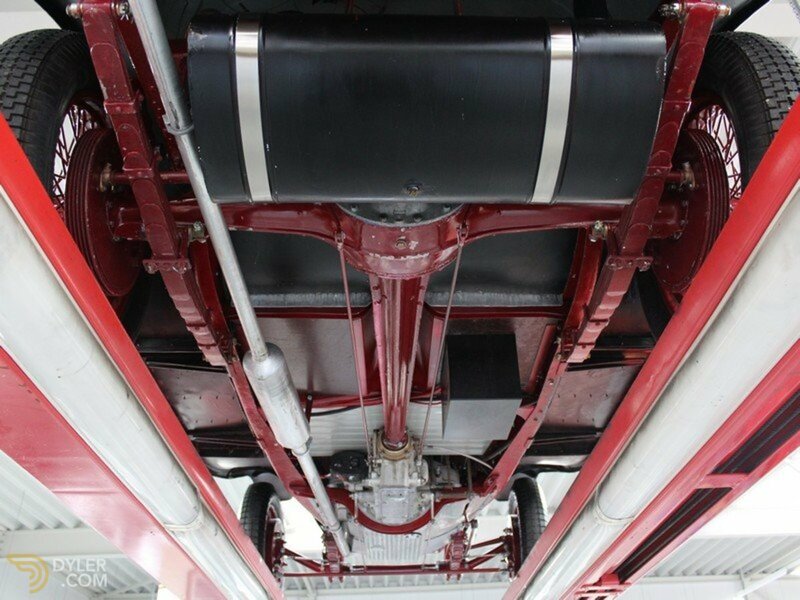 This 6C is not only a picture to see; mechanically it is in optimal working order too. 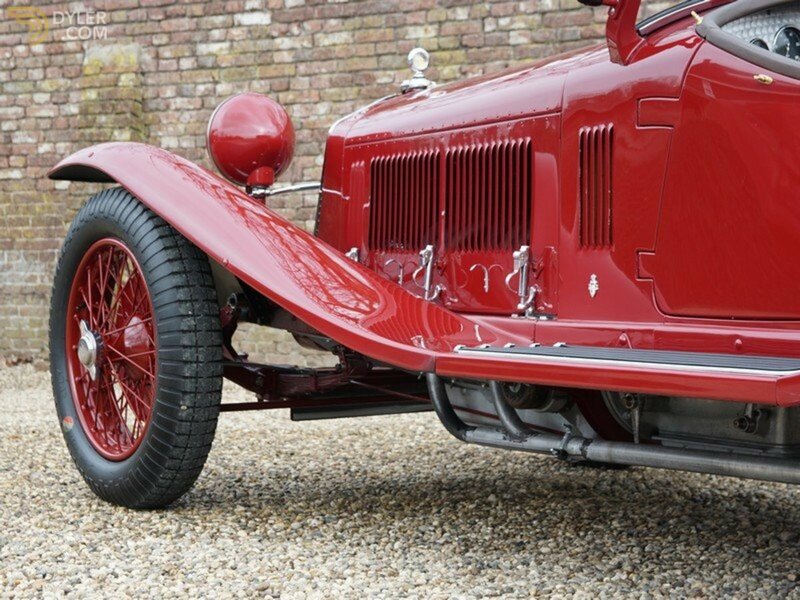 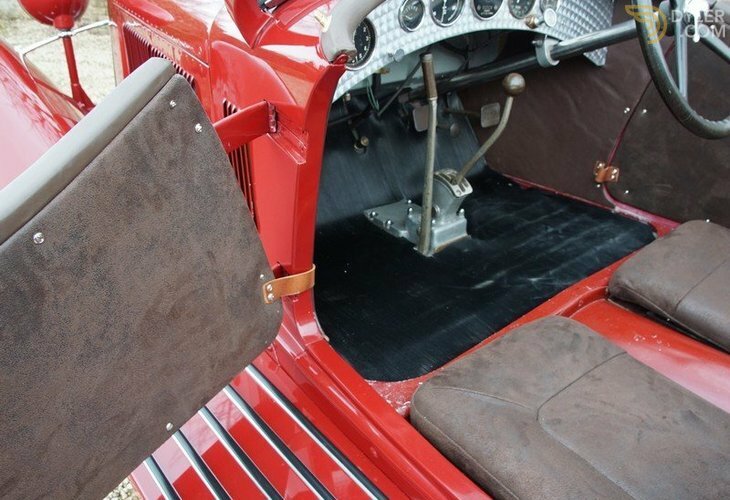 Accepted worldwide, at any race, rally or concourse d’Elegance of importance, this is without doubt a truly unique car with a fantastic history!